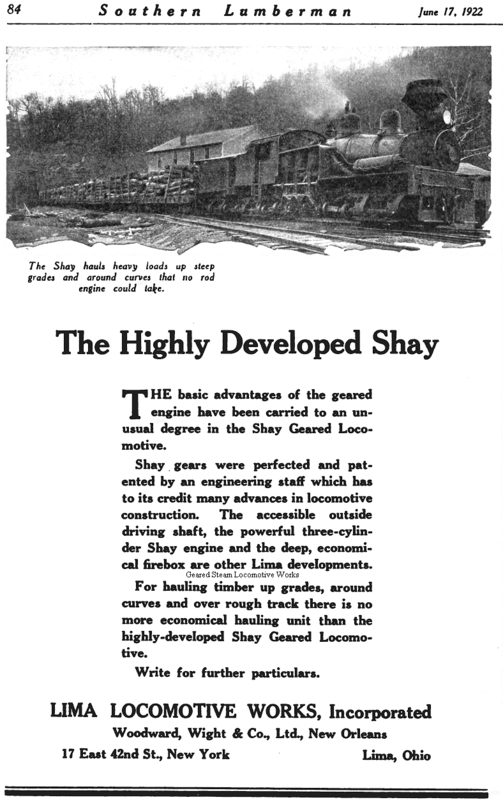 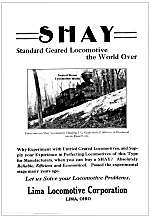 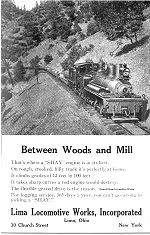 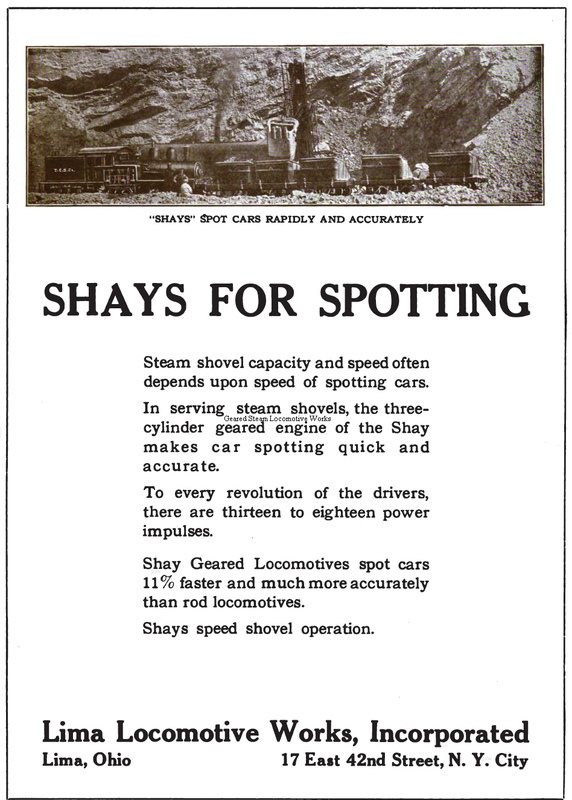 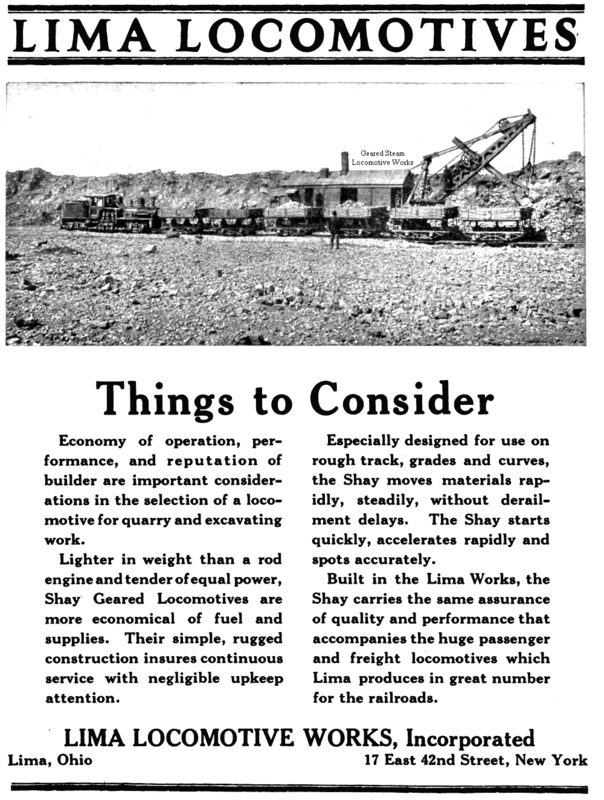 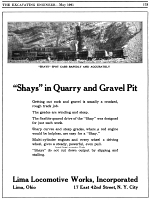 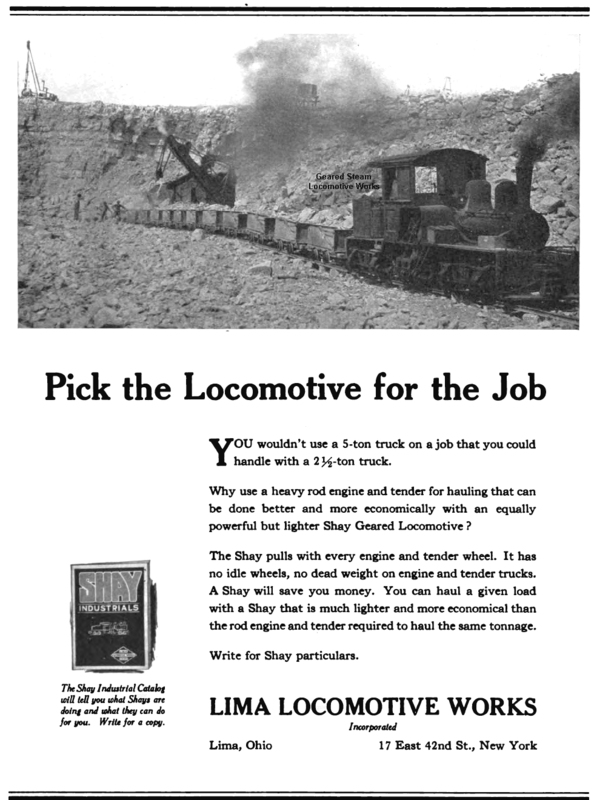 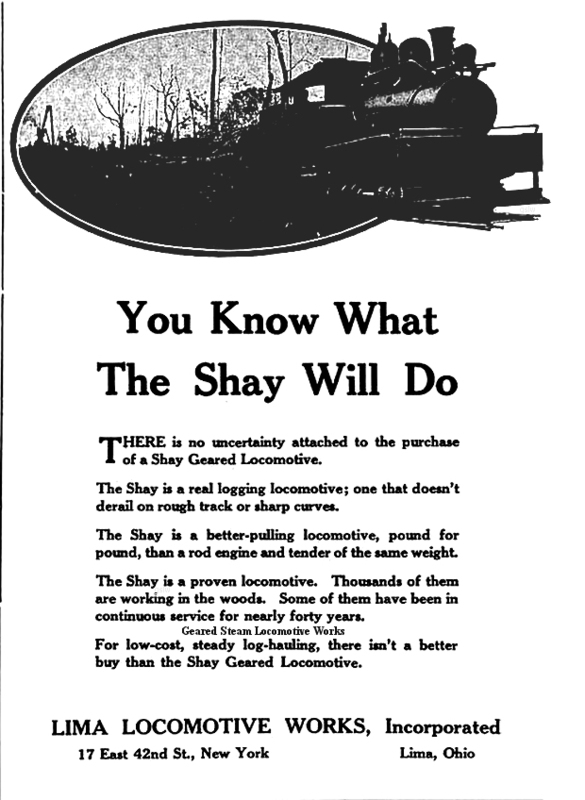 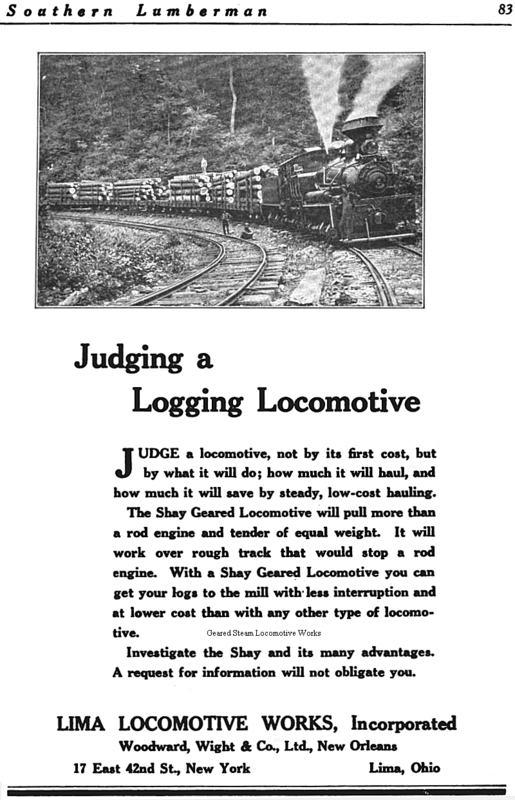 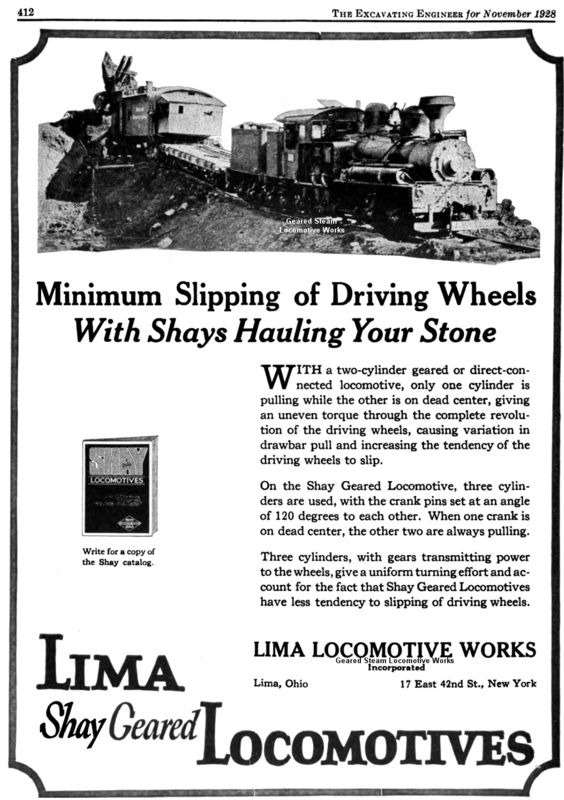 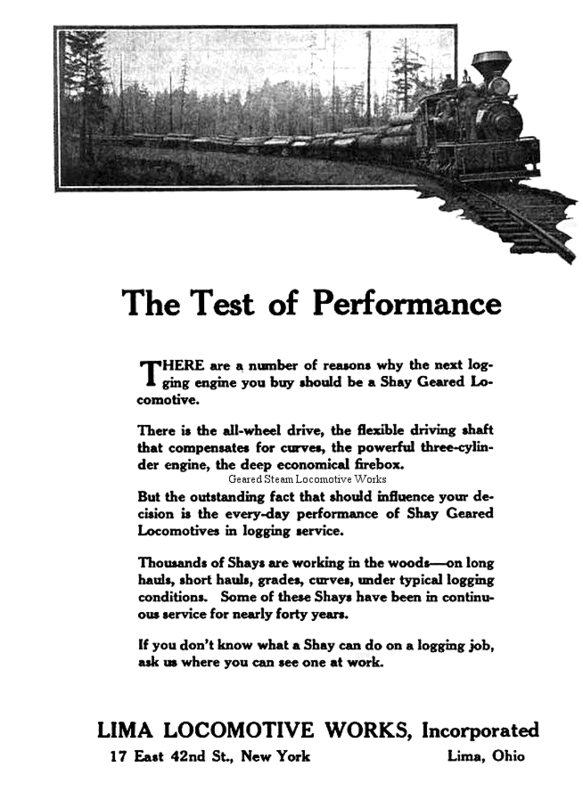 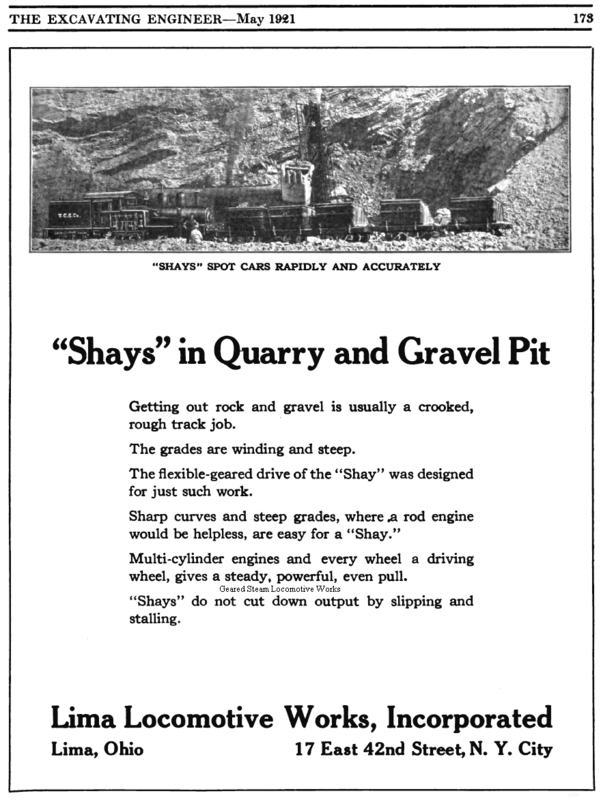 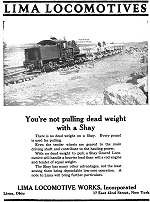 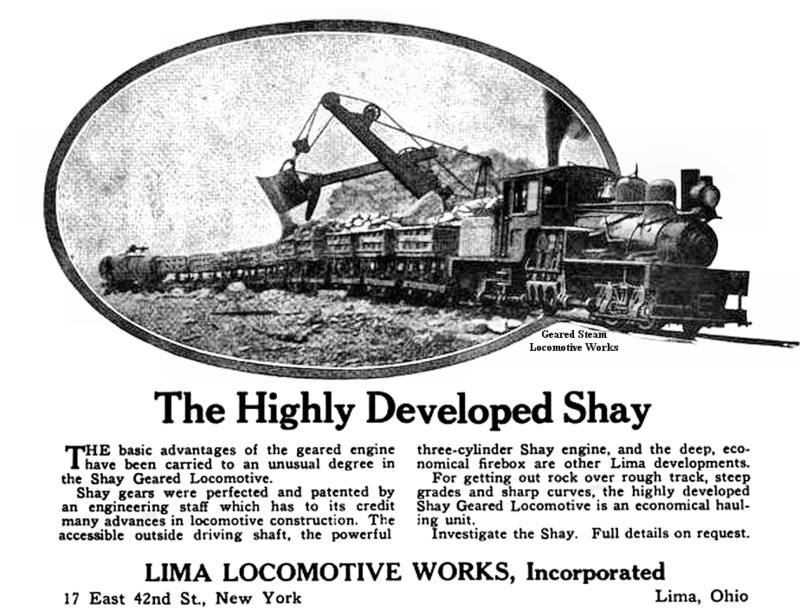 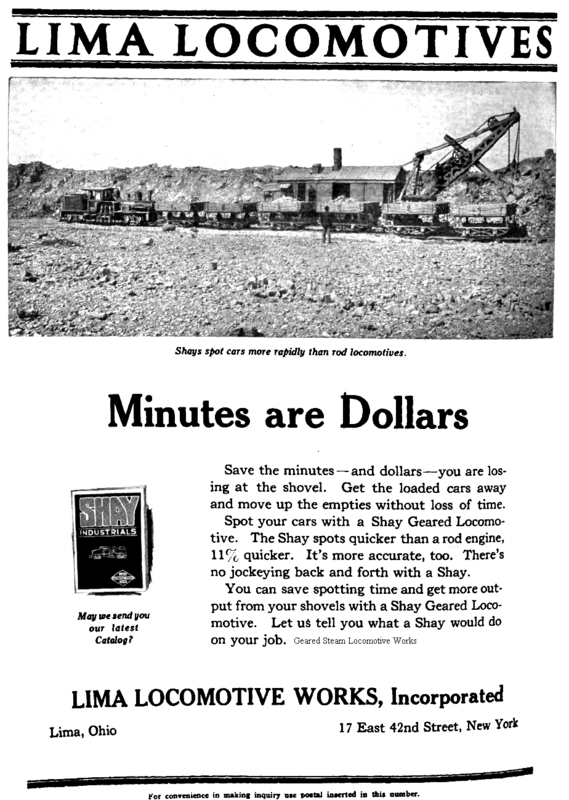 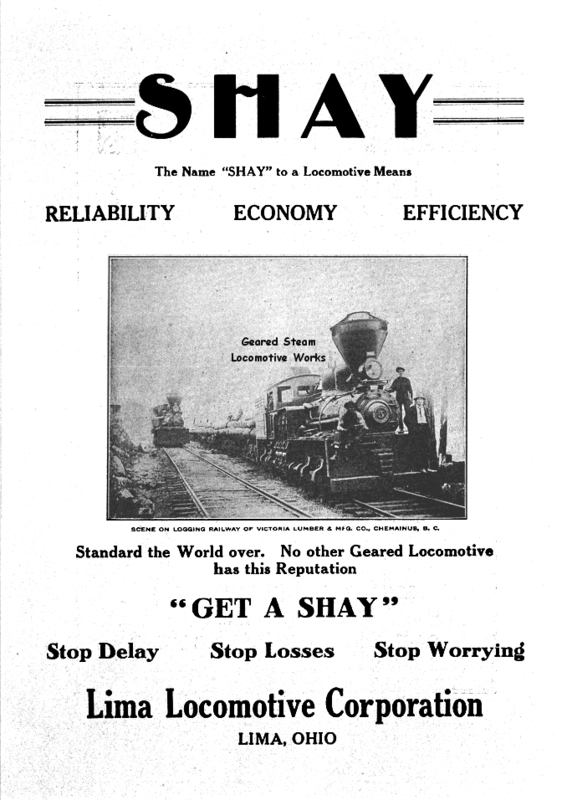 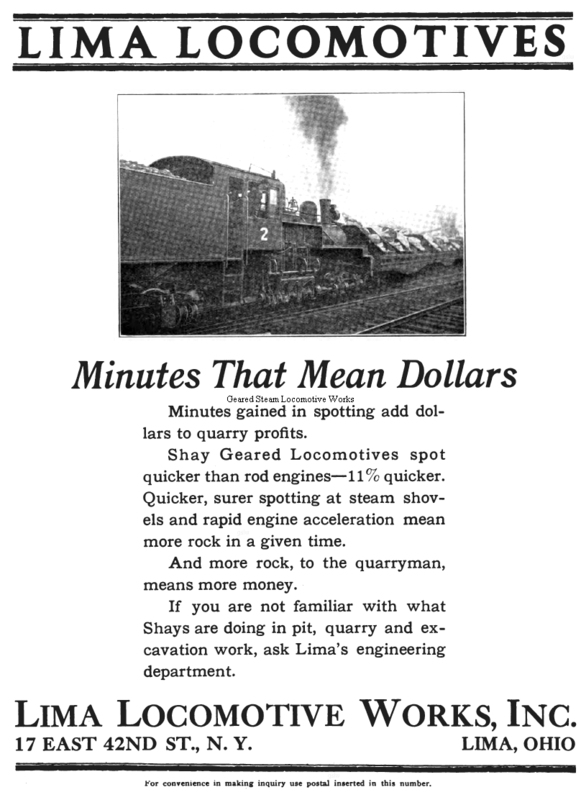 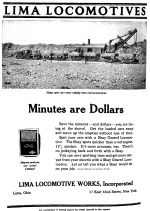 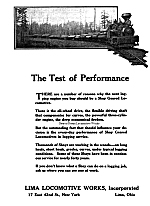 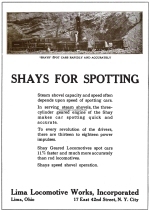 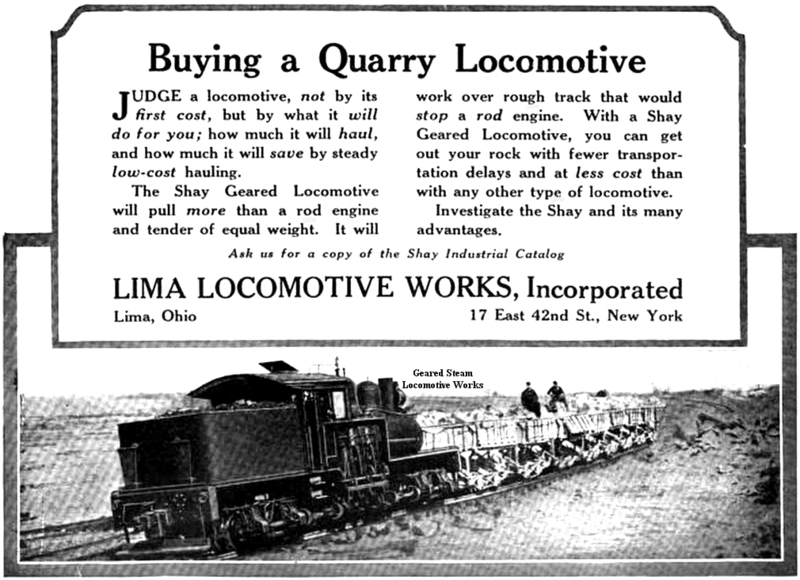 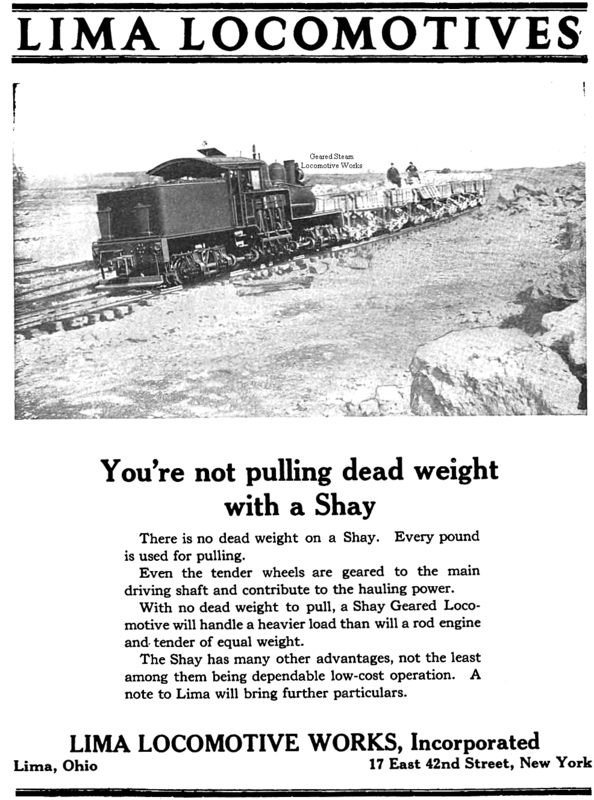 173 The Shay locomotive in the image is one of three owned by Tomkins Cove Stone Co. of Tomkins Cove, New York. 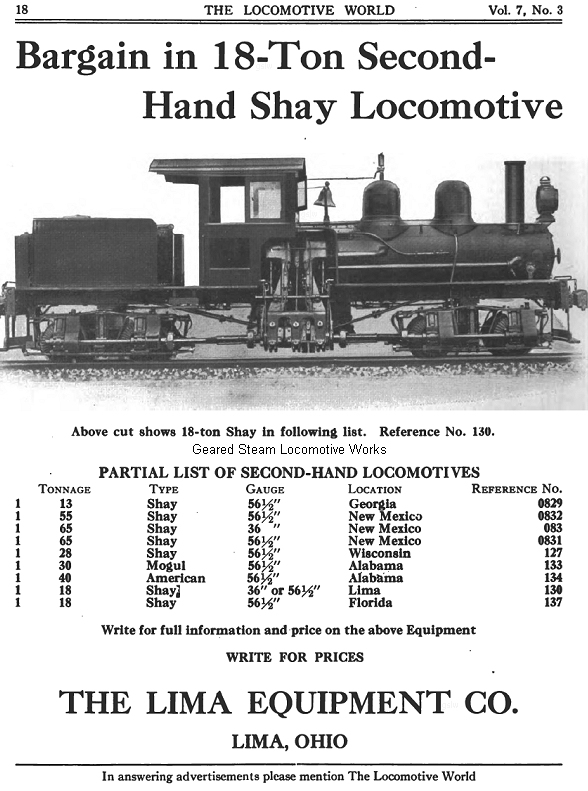 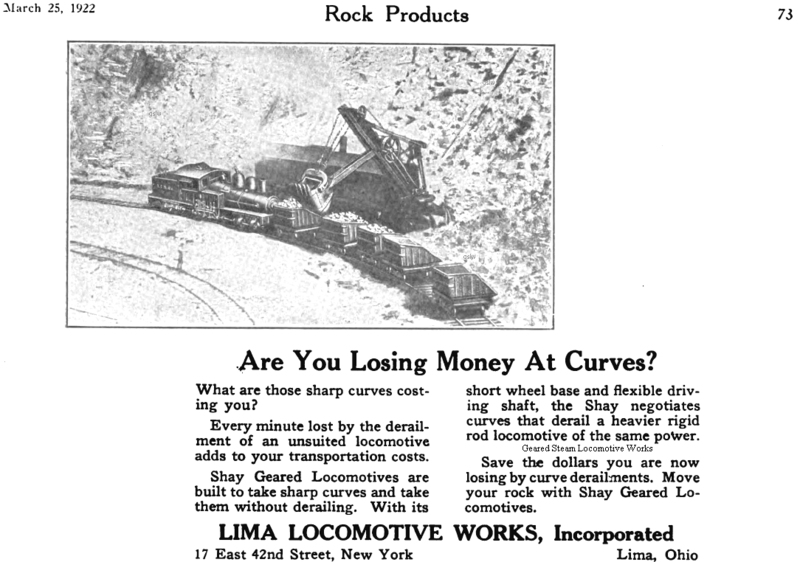 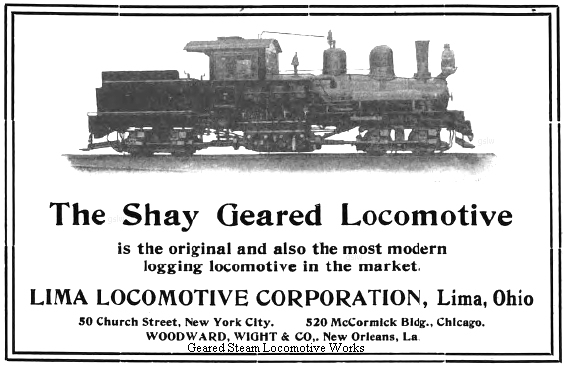 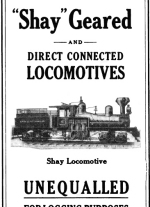 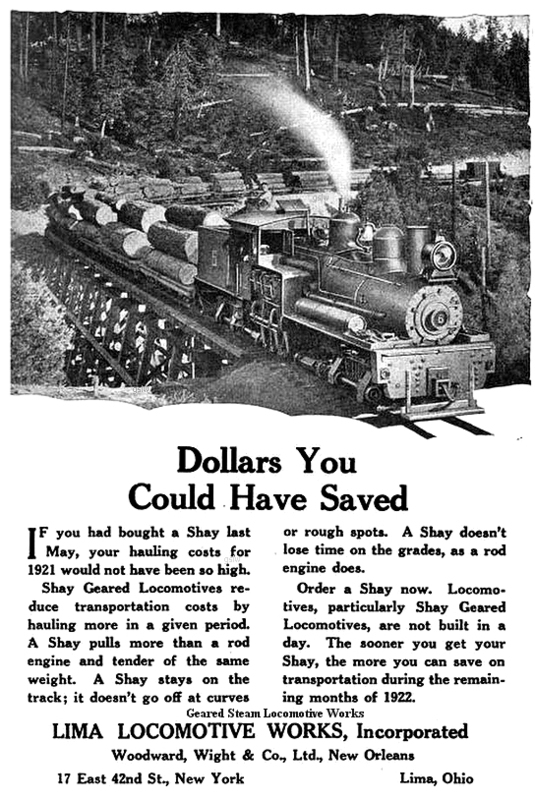 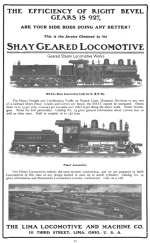 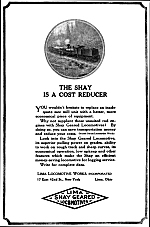 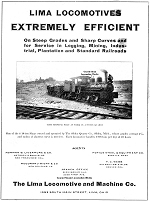 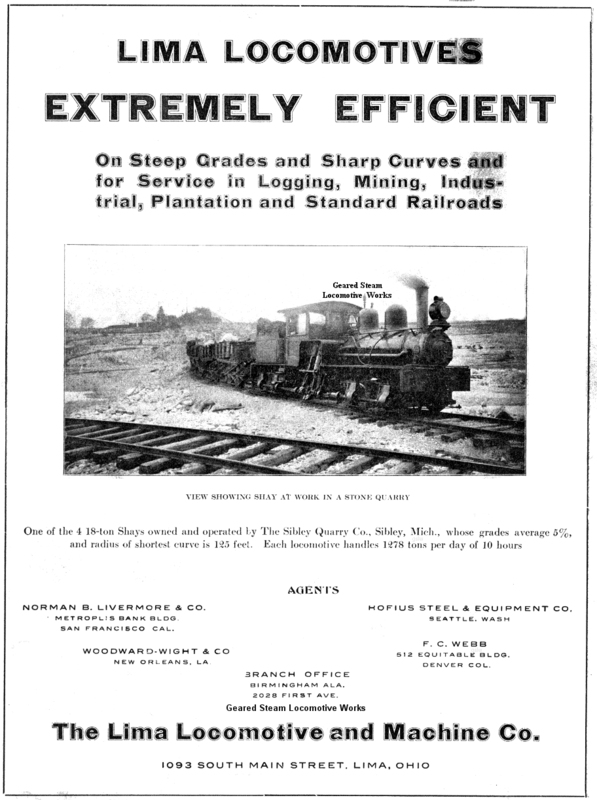 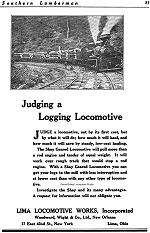 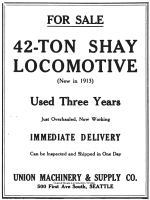 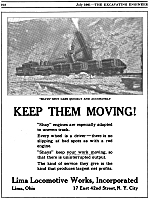 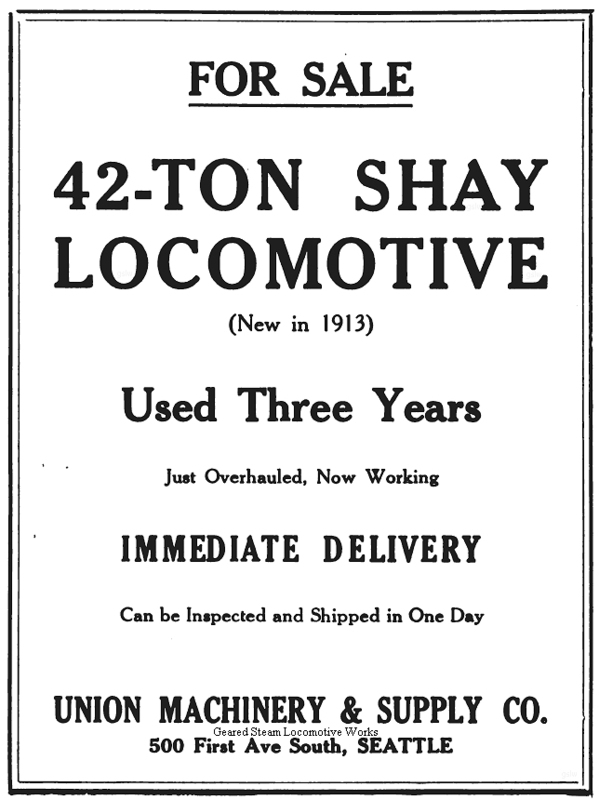 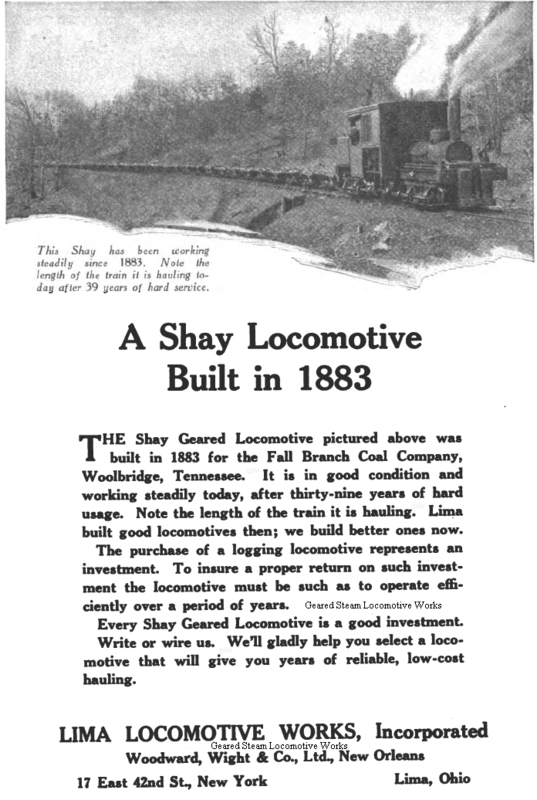 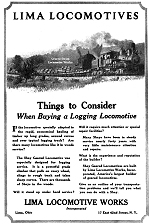 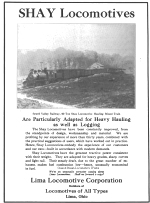 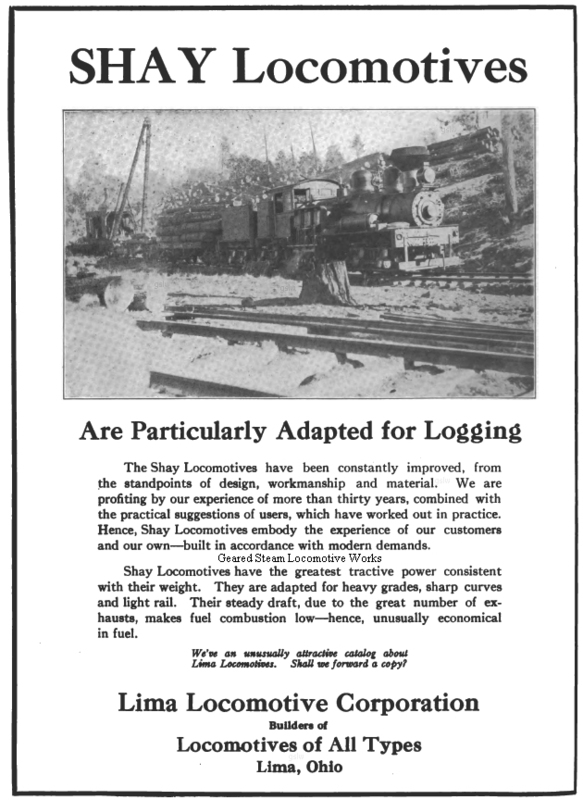 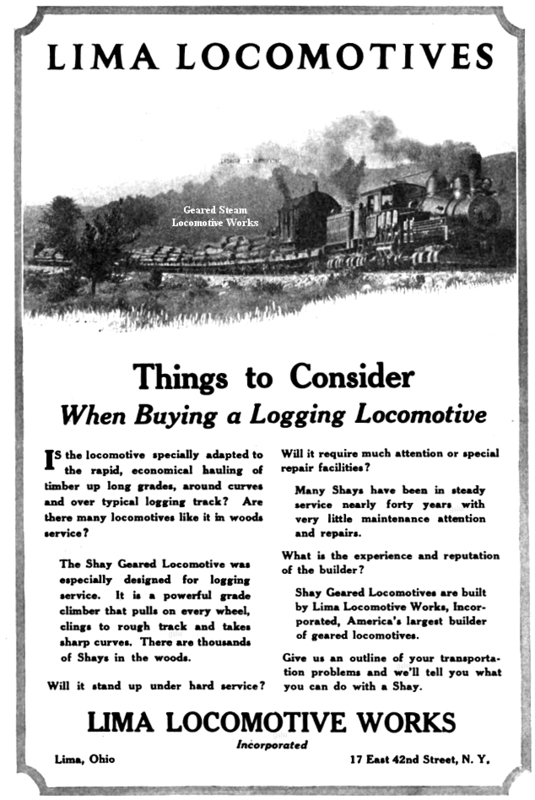 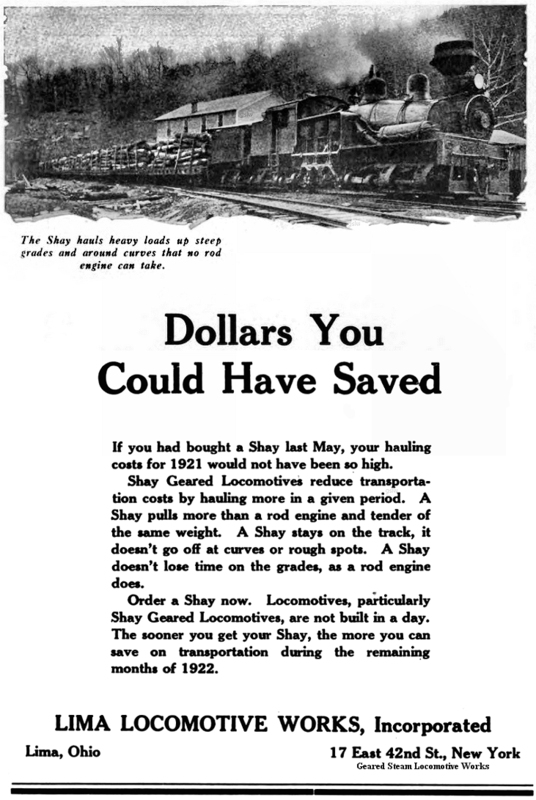 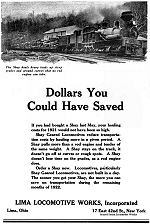 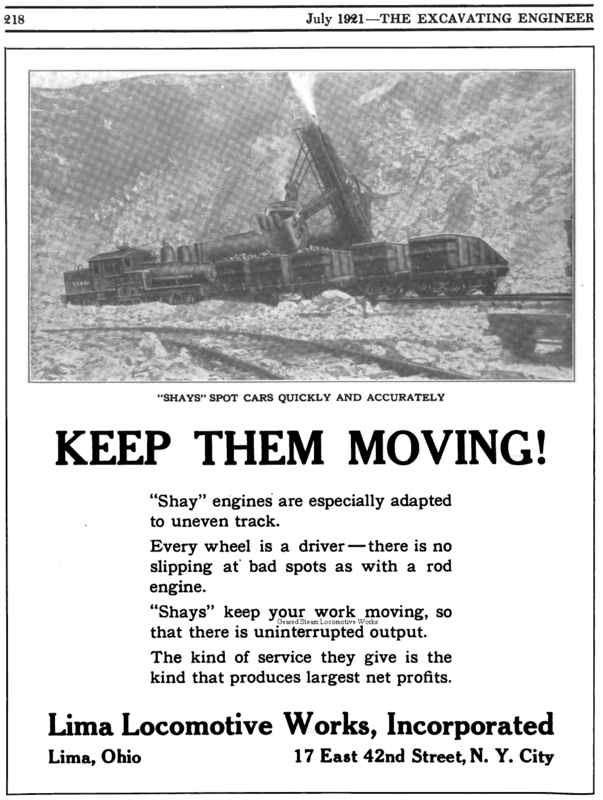 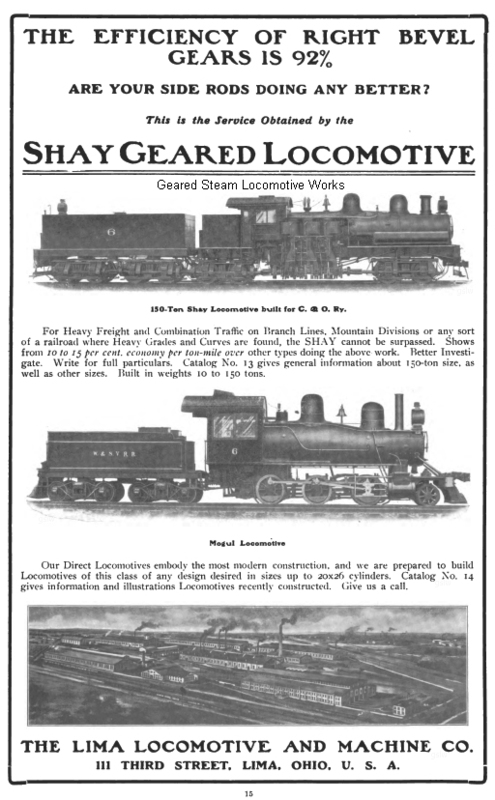 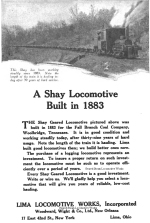 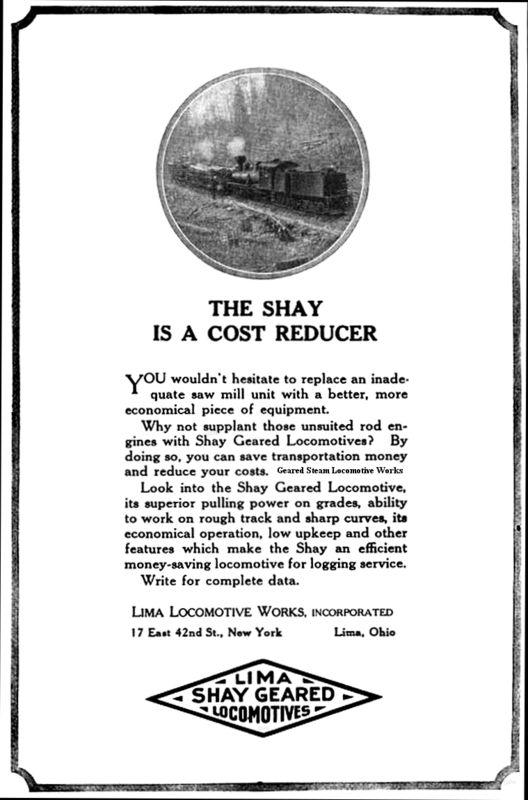 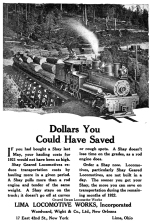 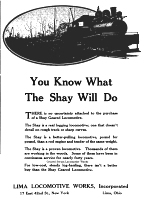 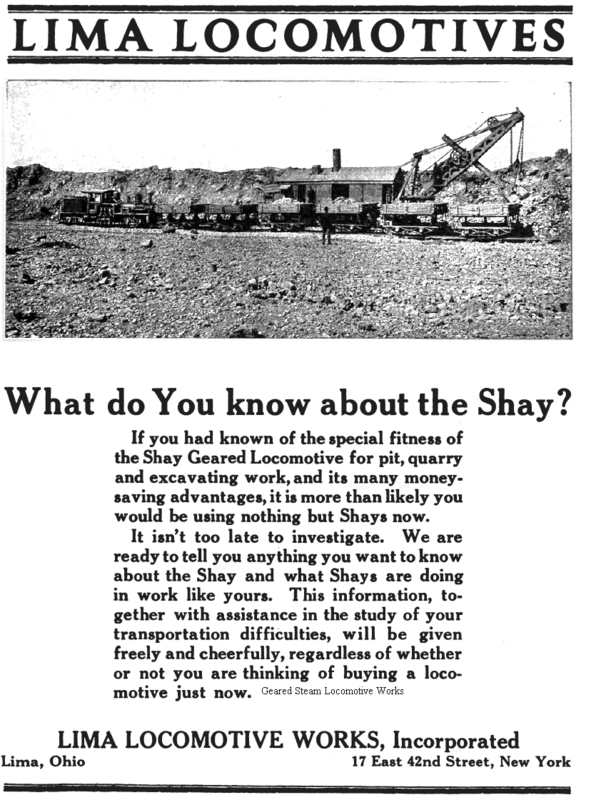 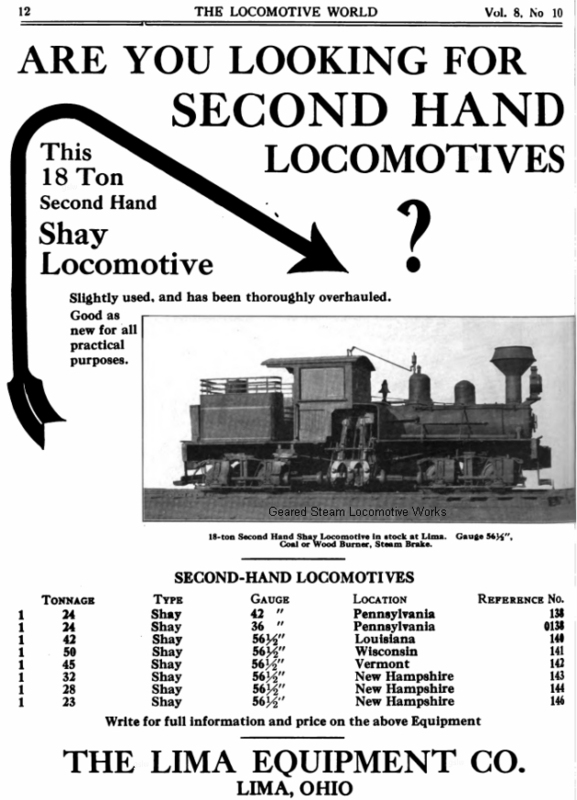 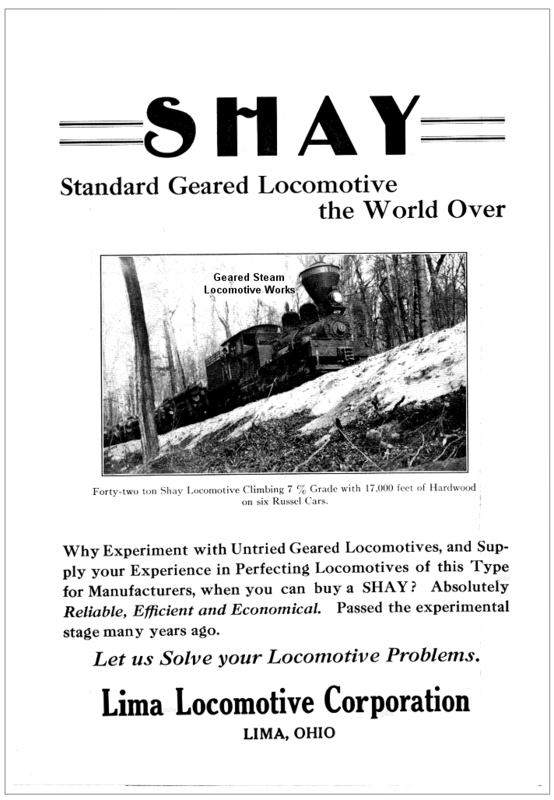 218 The Shay locomotive in the image is one of three owned by Tomkins Cove Stone Co. of Tomkins Cove, New York. 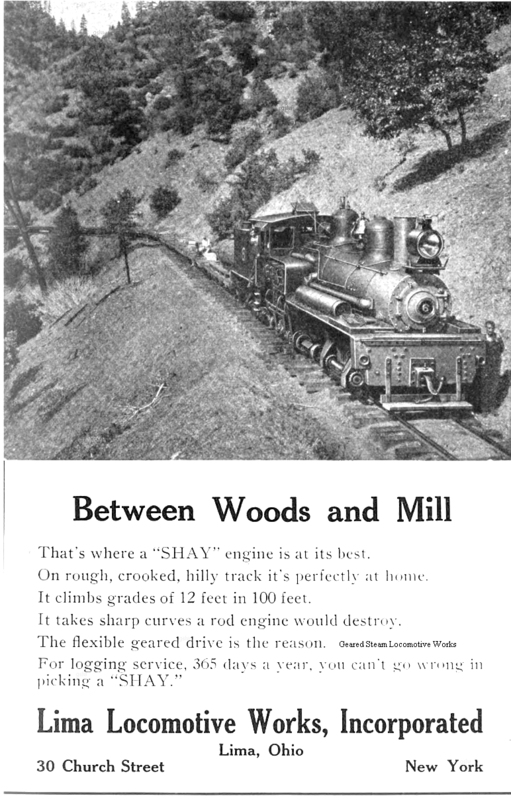 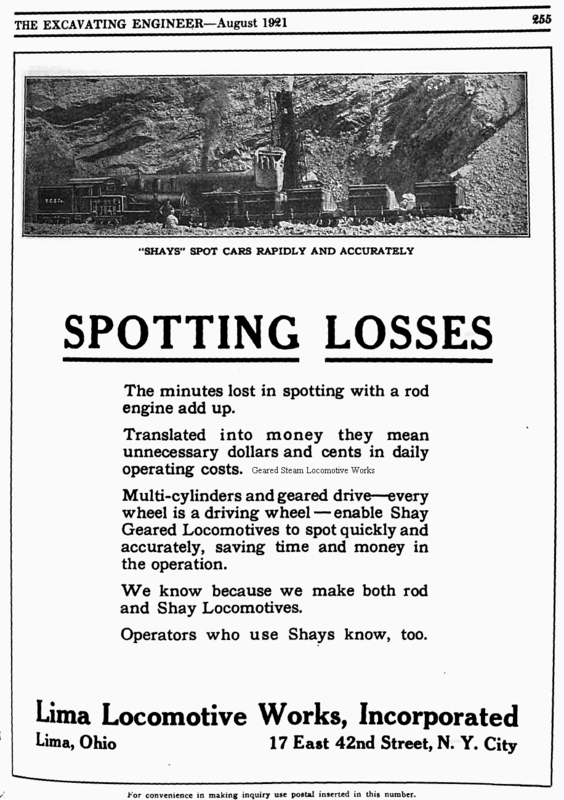 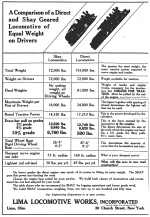 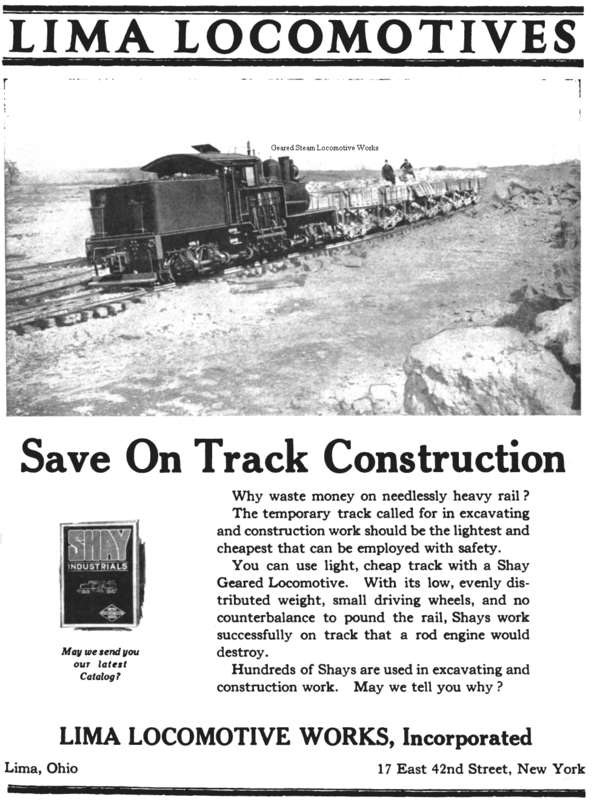 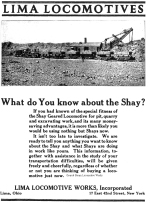 255 The Shay locomotive in the image is one of three owned by Tomkins Cove Stone Co. of Tomkins Cove, New York. 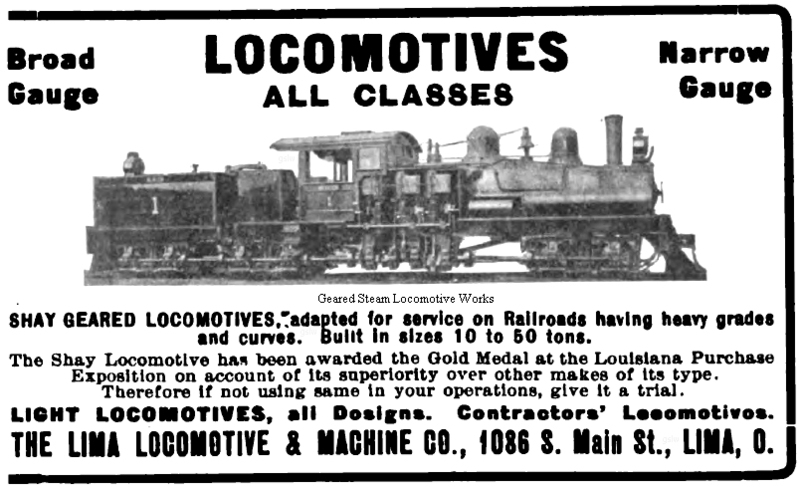 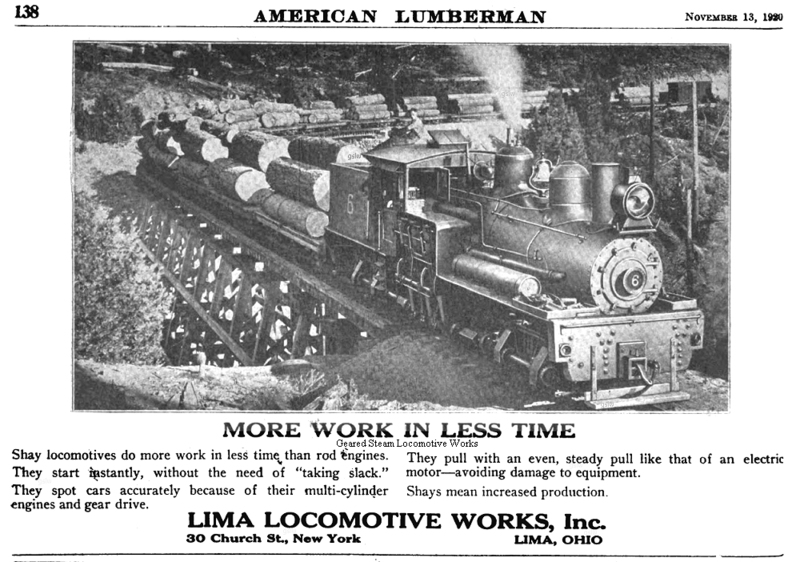 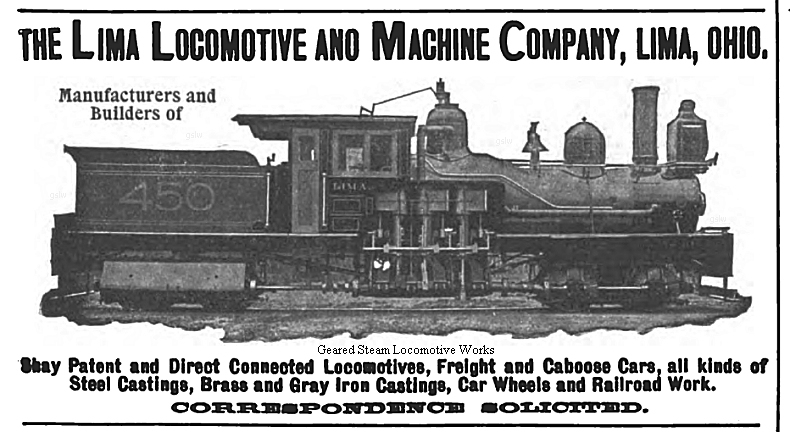 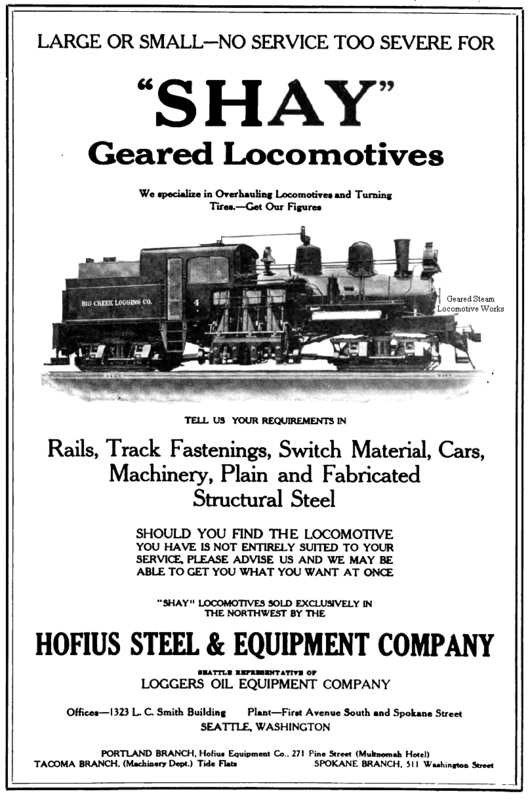 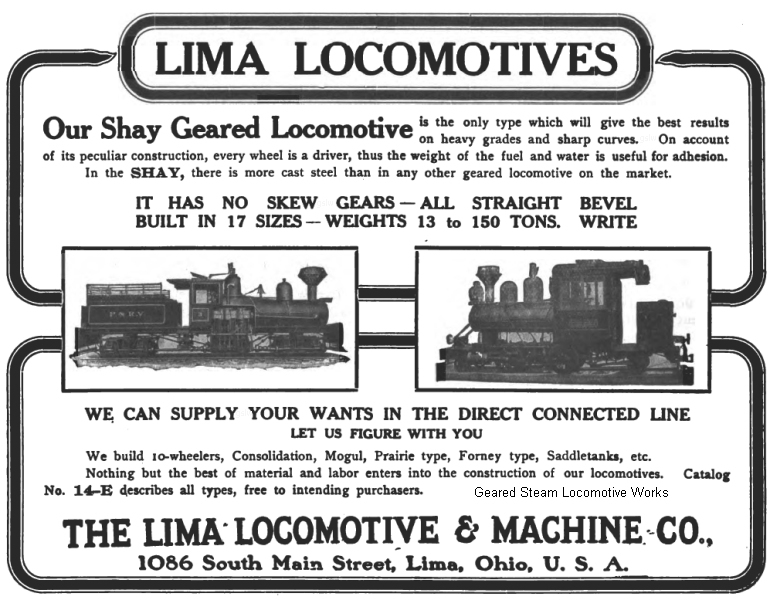 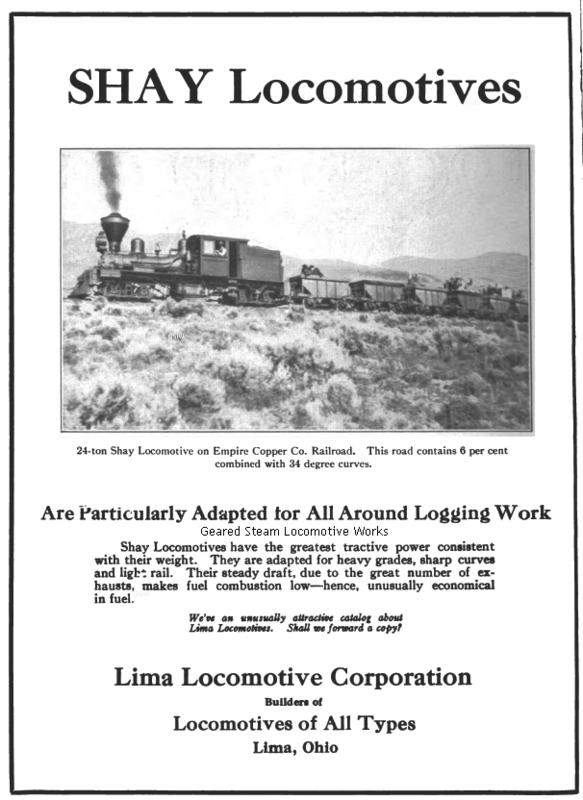 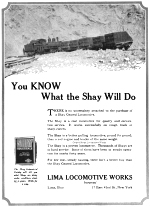 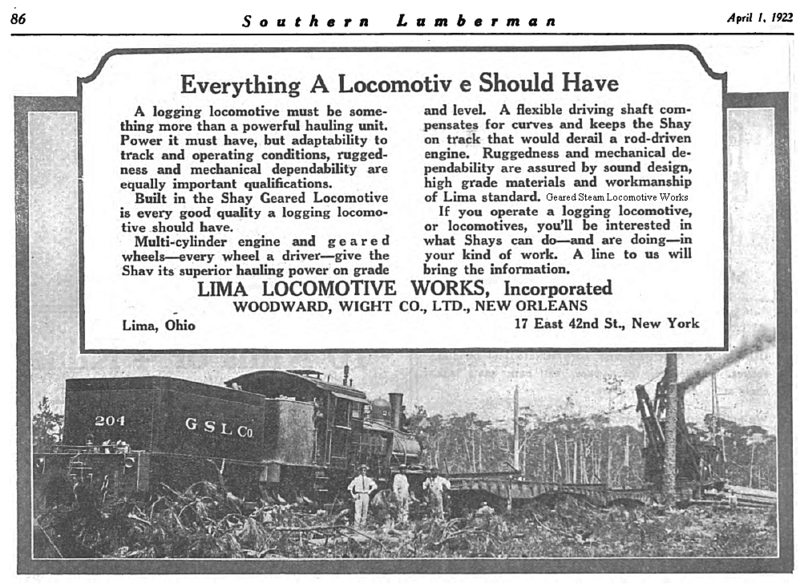 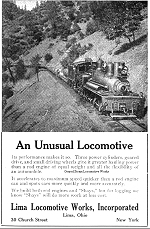 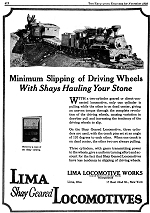 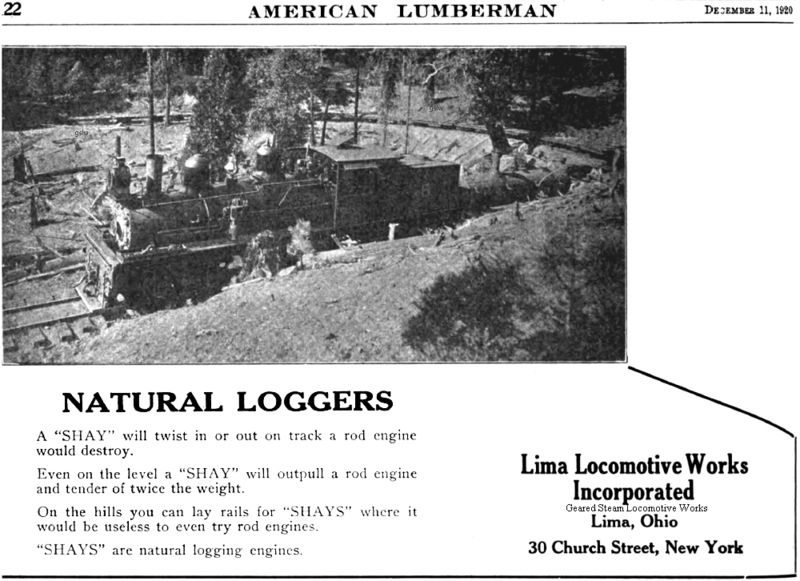 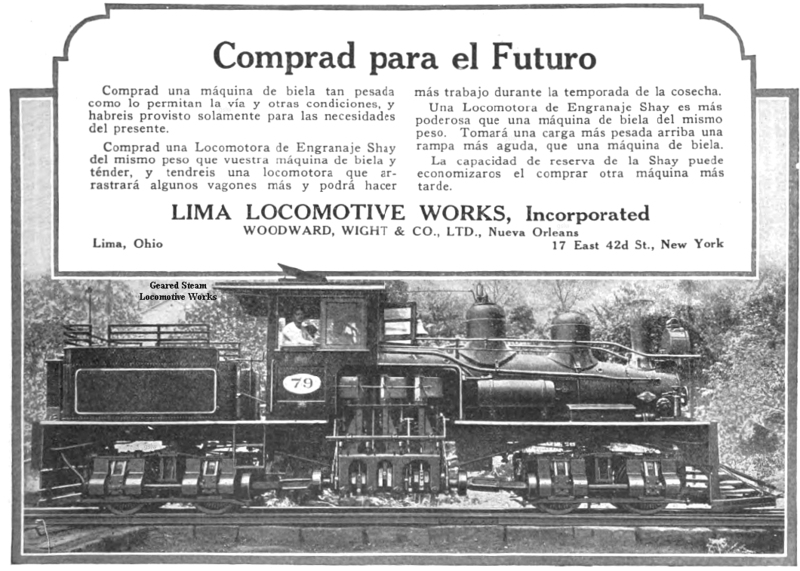 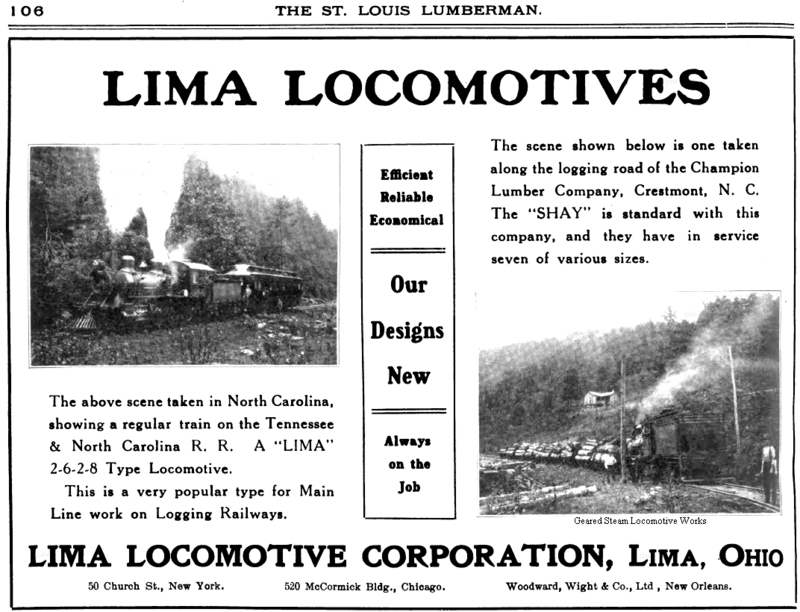 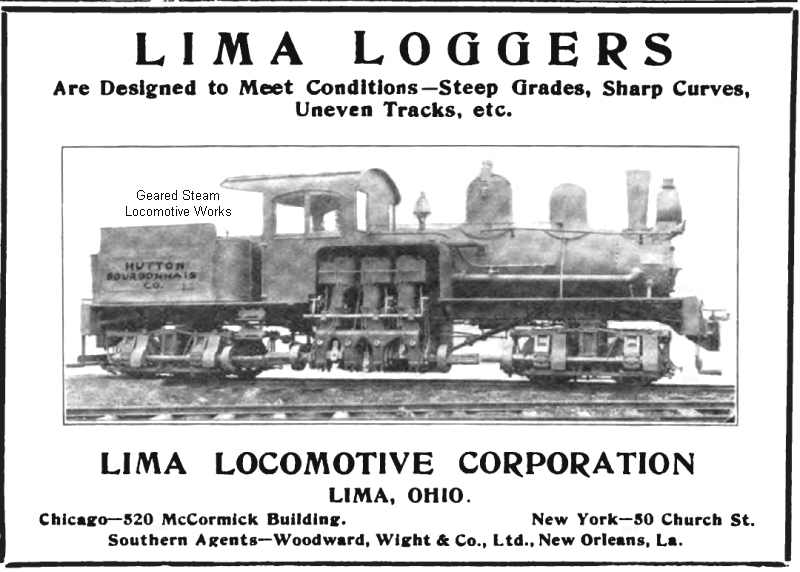 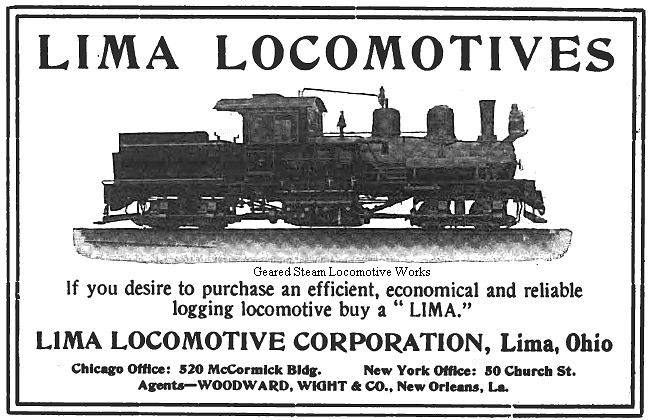 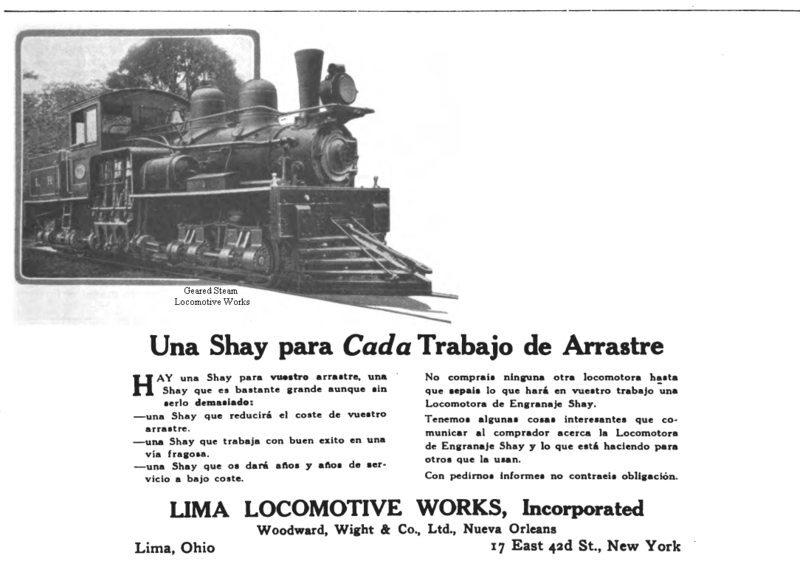 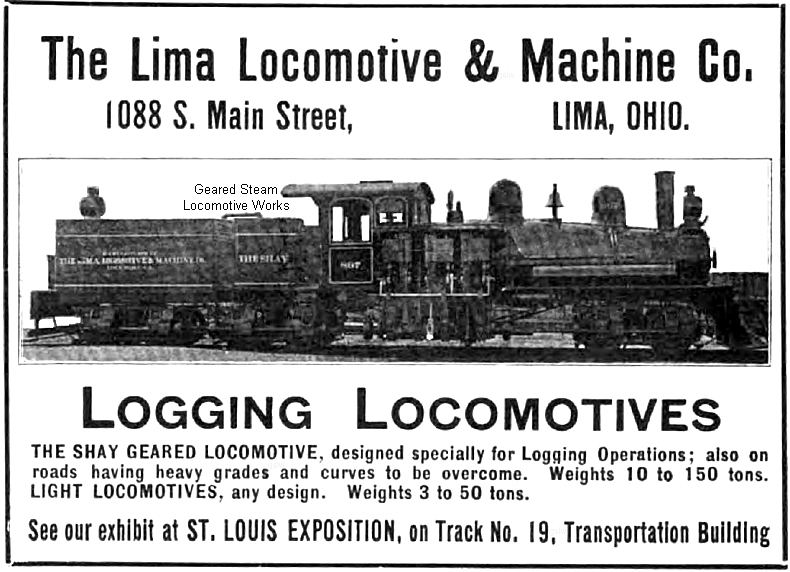 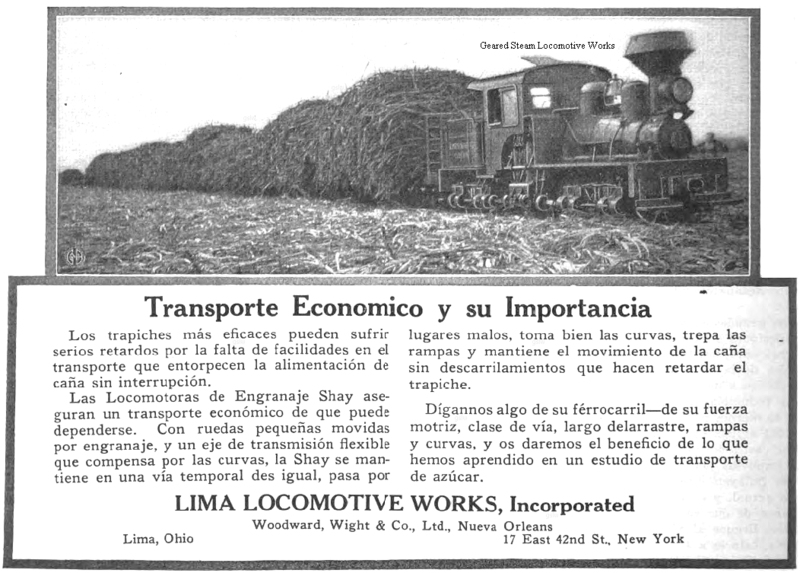 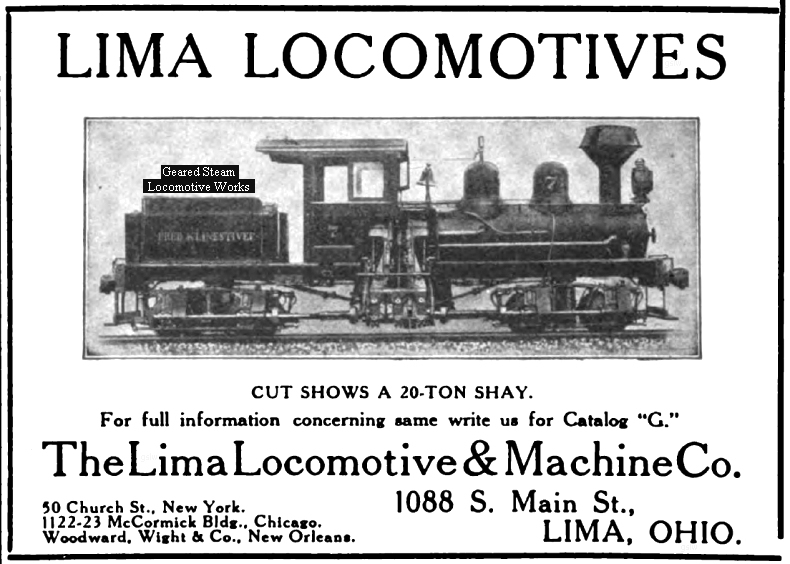 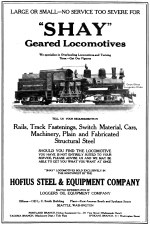 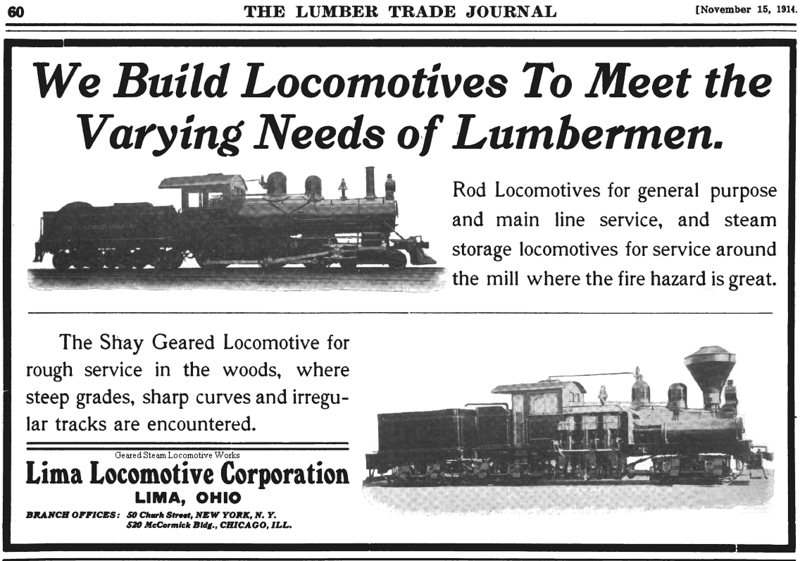 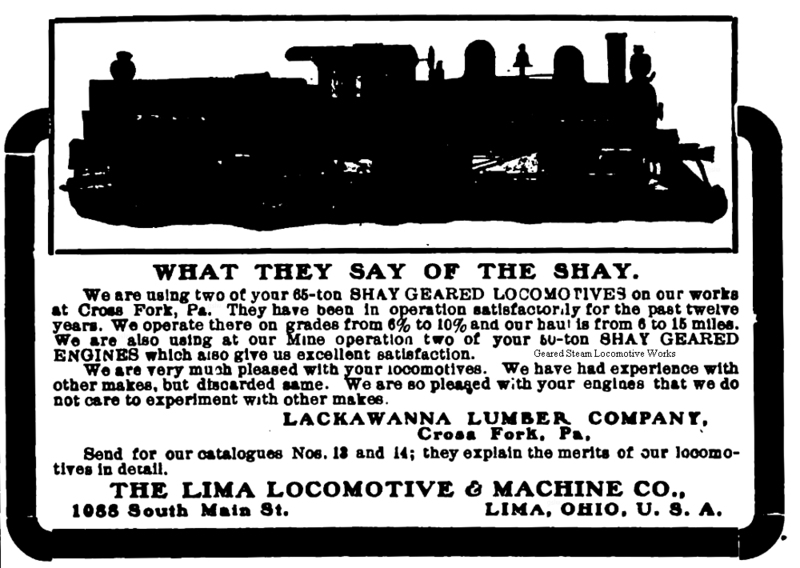 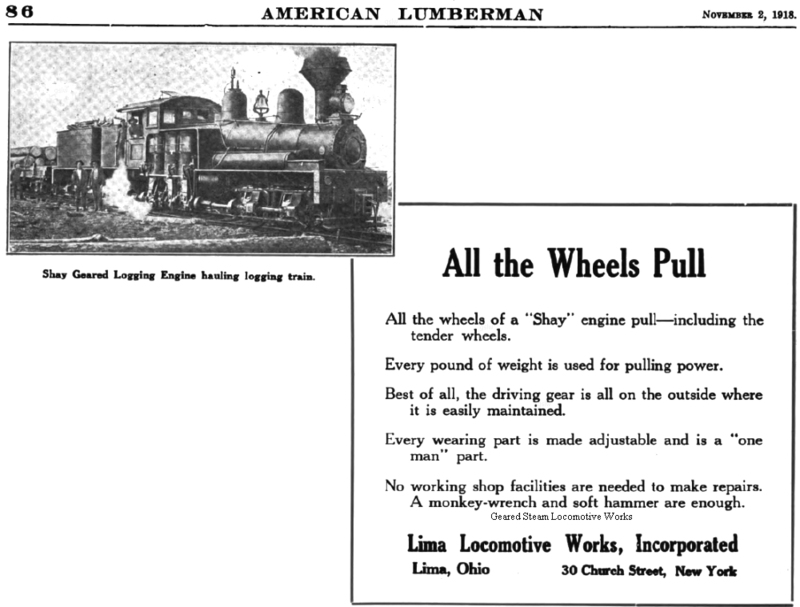 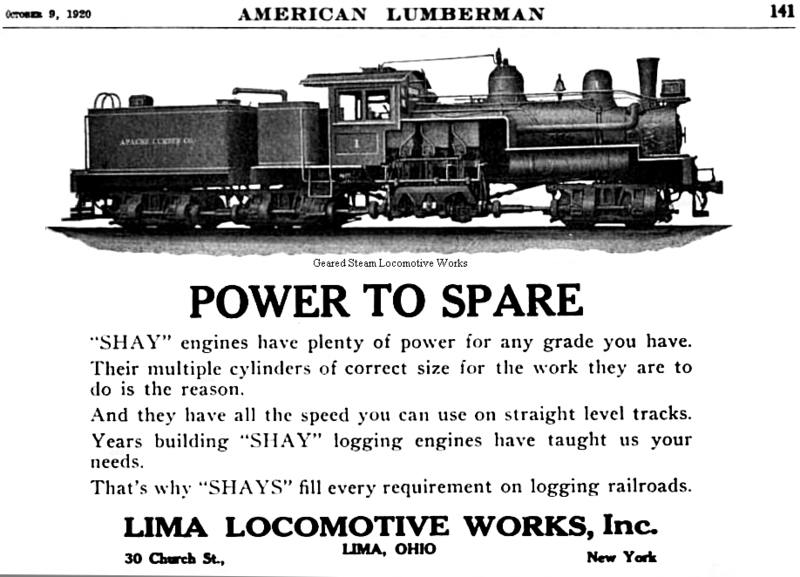 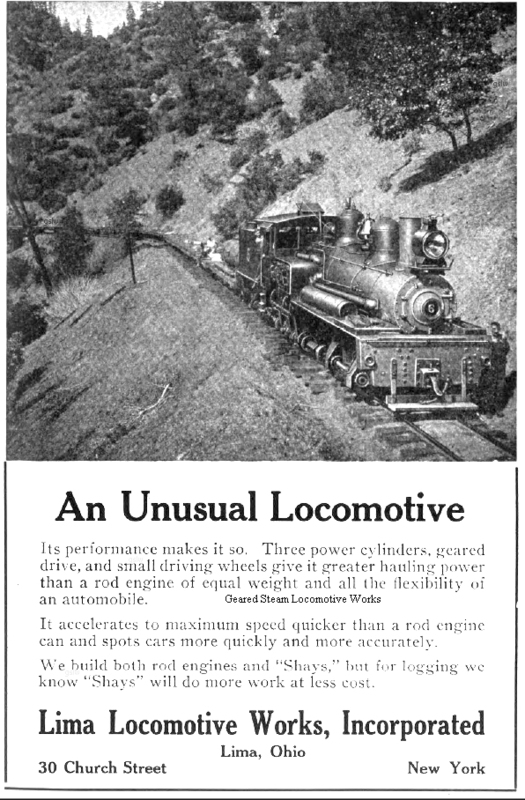 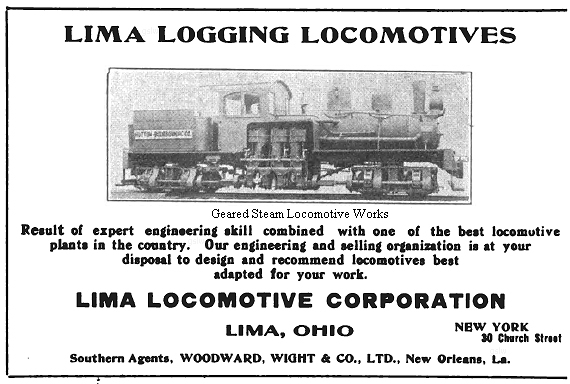 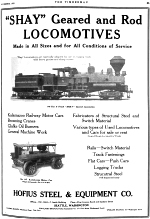 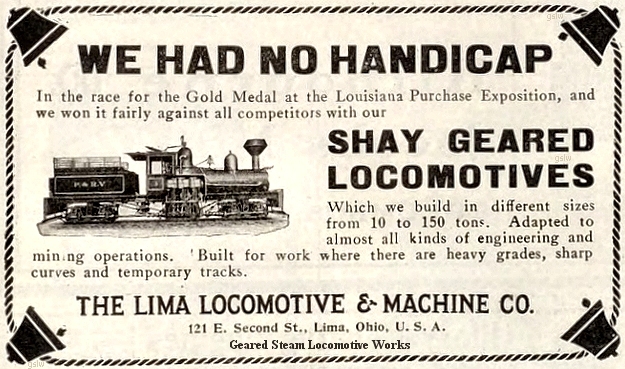 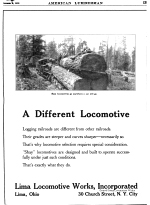 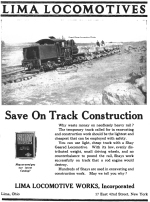 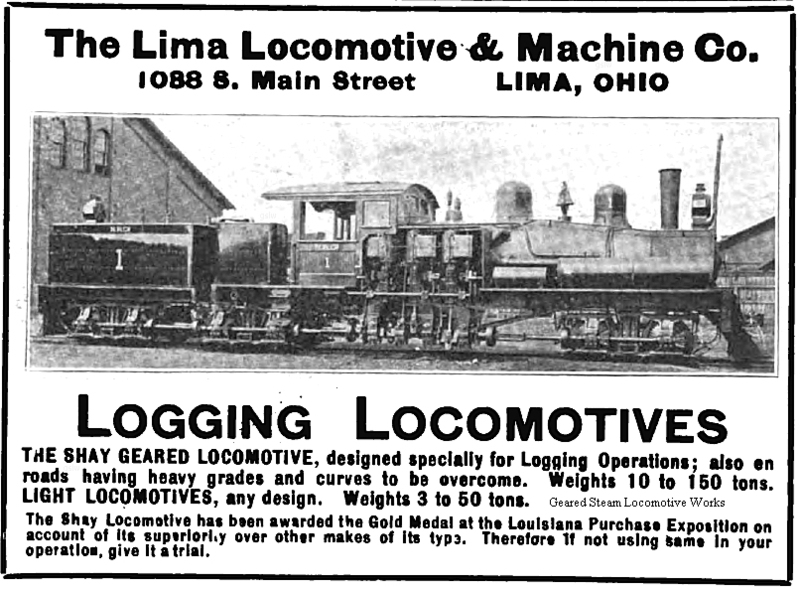 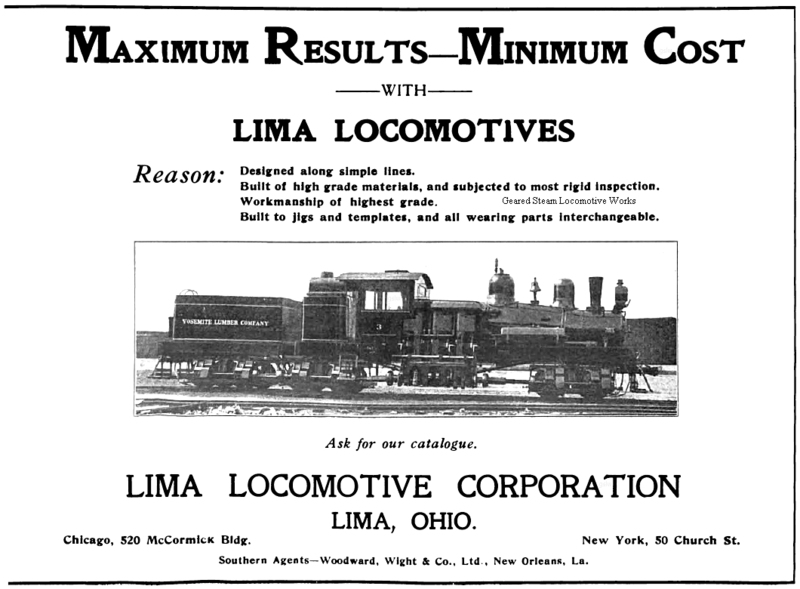 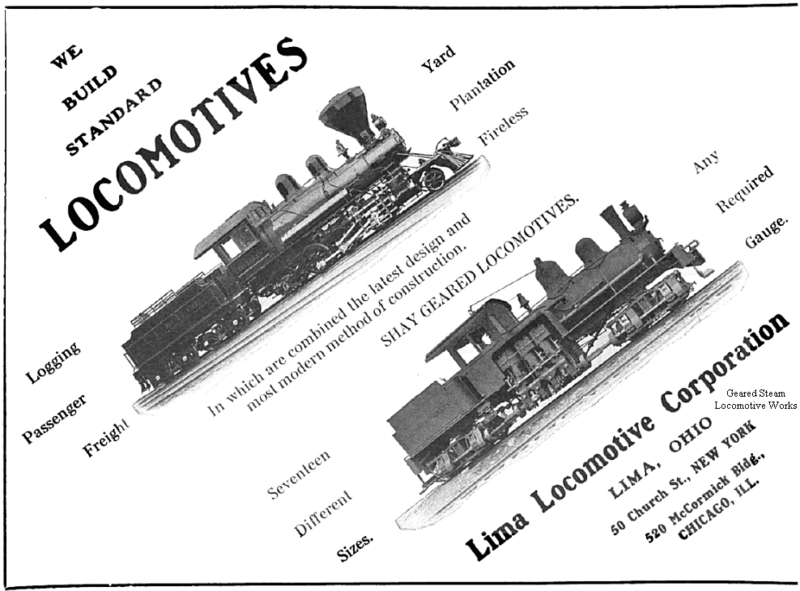 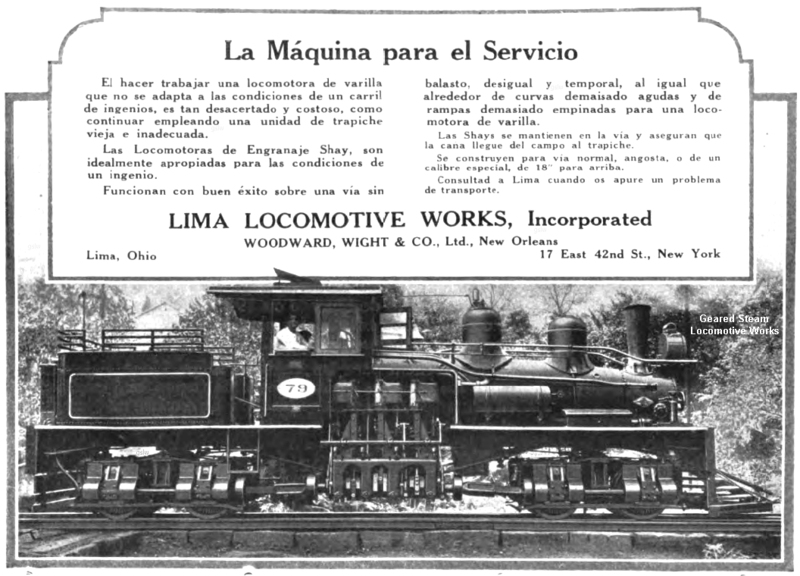 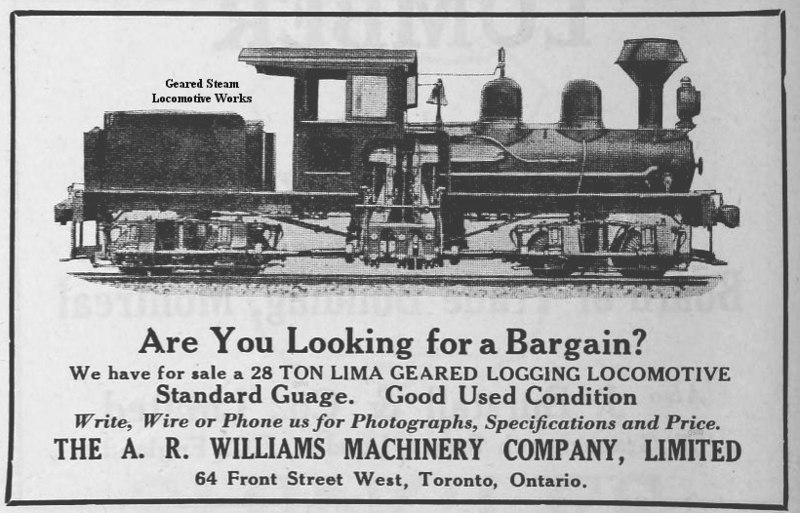 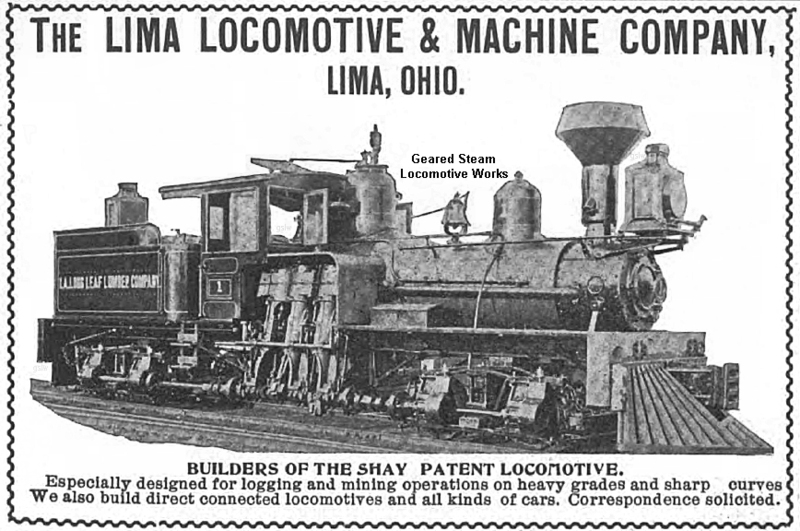 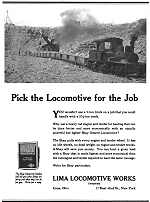 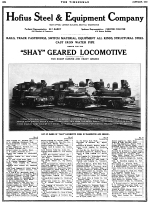 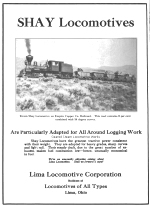 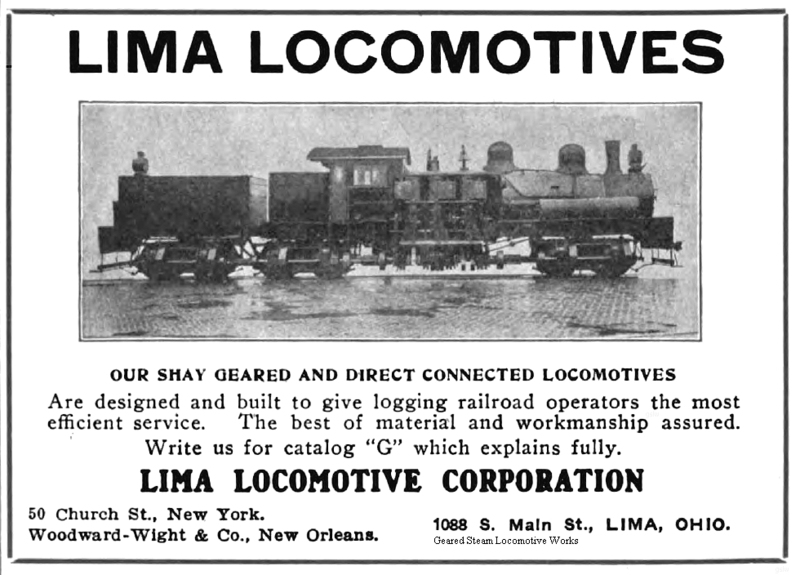 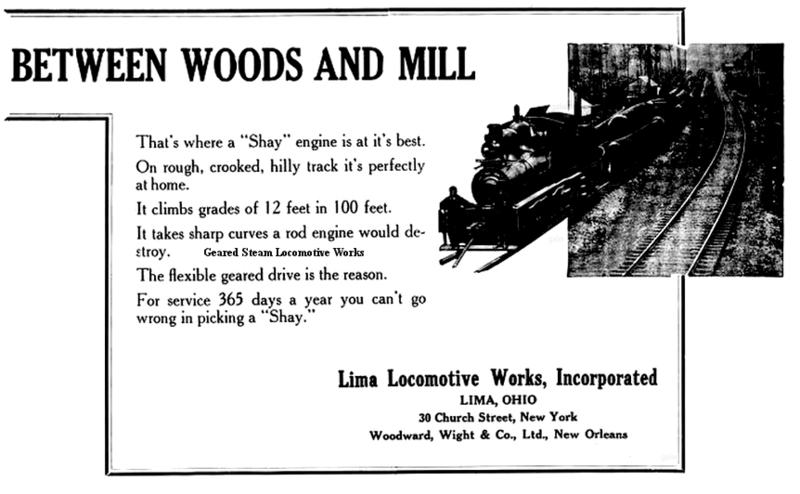 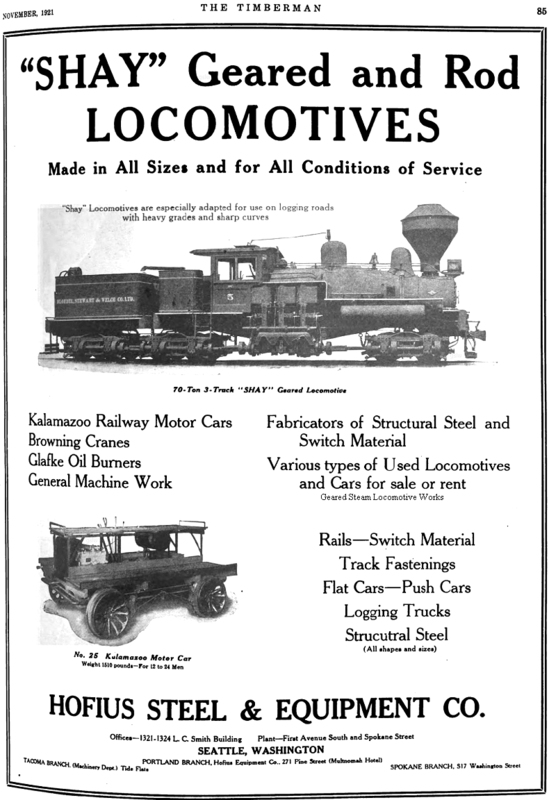 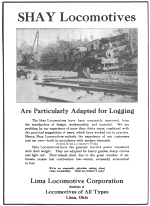 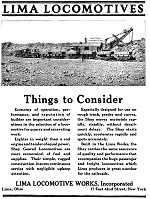 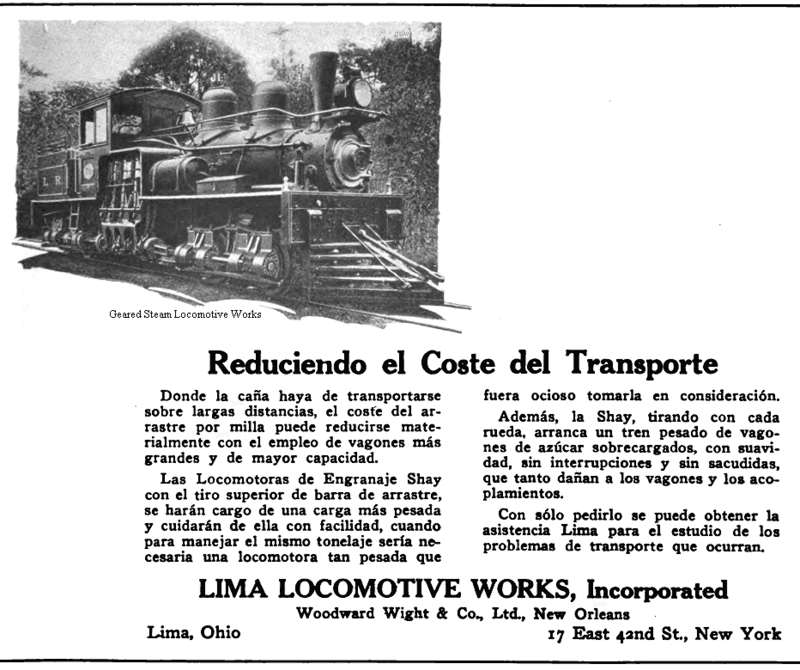 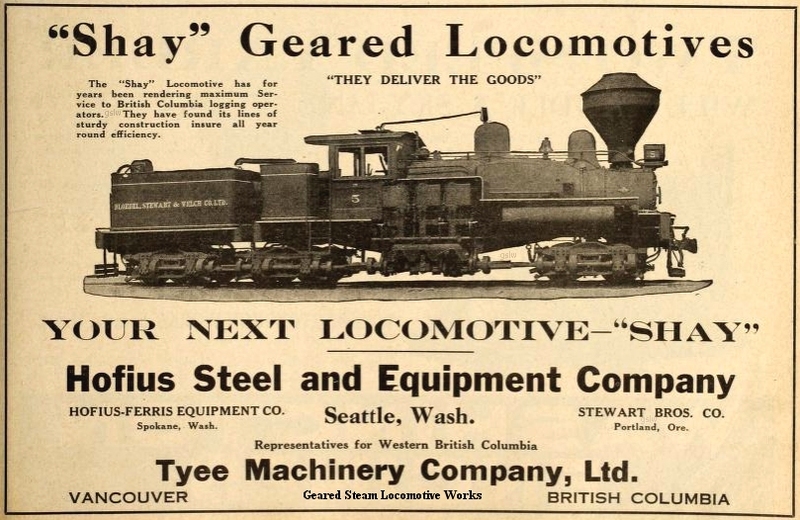 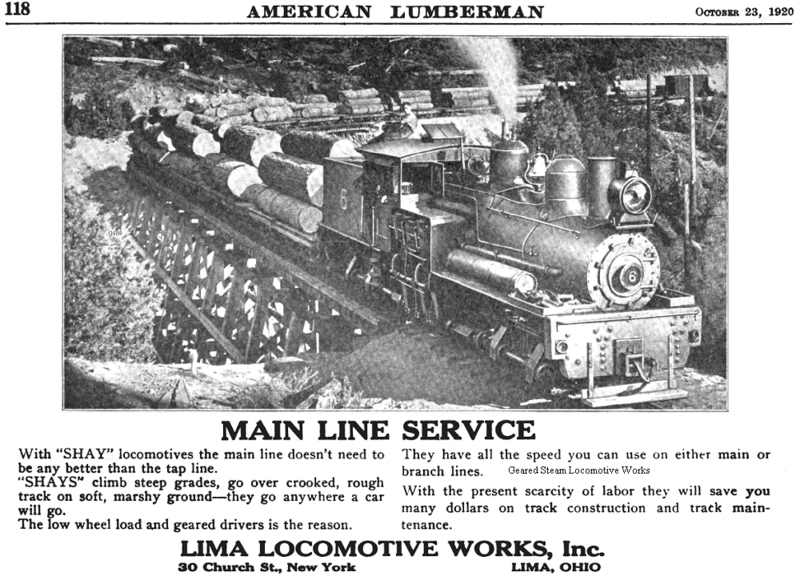 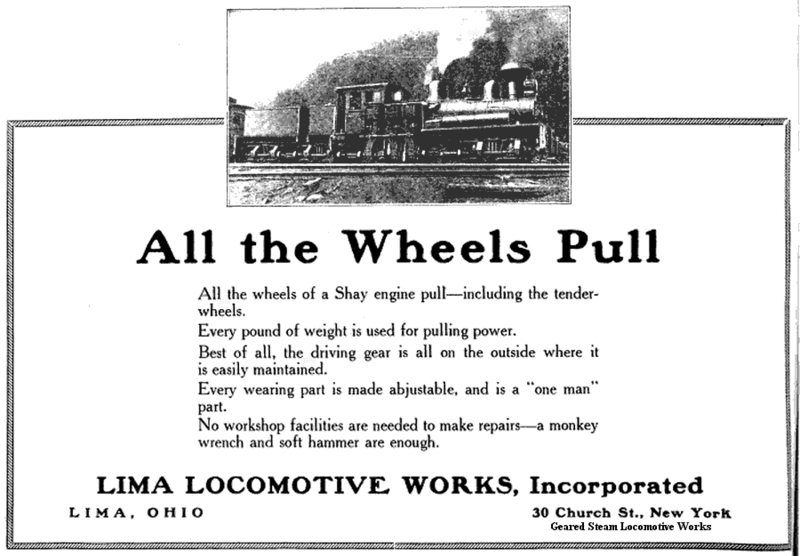 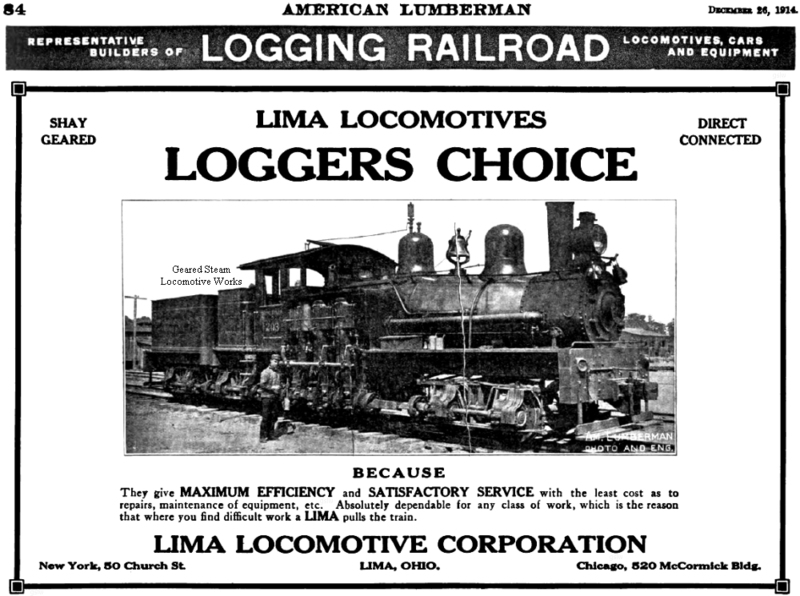 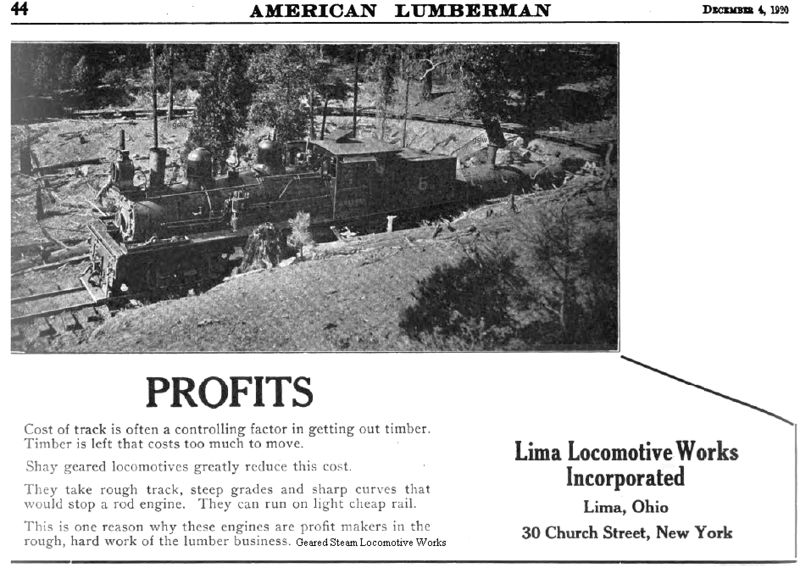 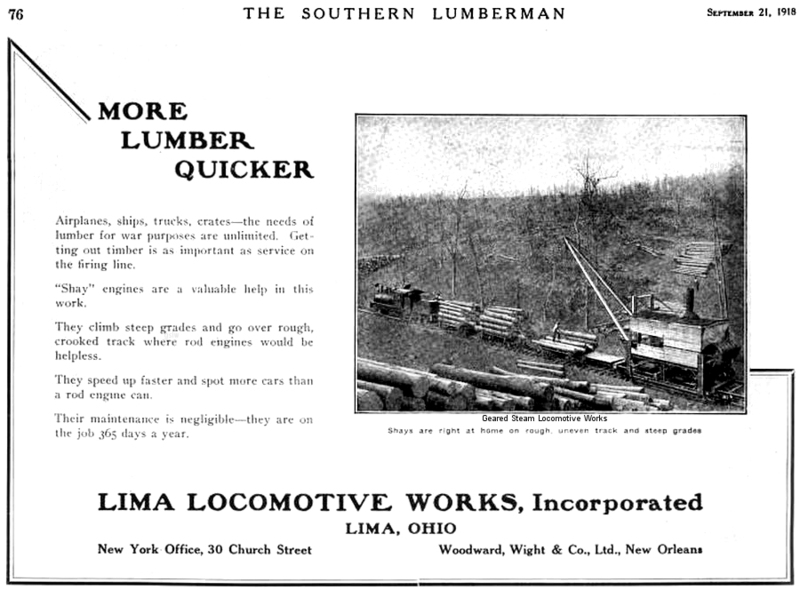 Published by "The Railroad Gazette"
805 The locomotive pictured is the Lima Locomotive Works #450 - s/n 450. 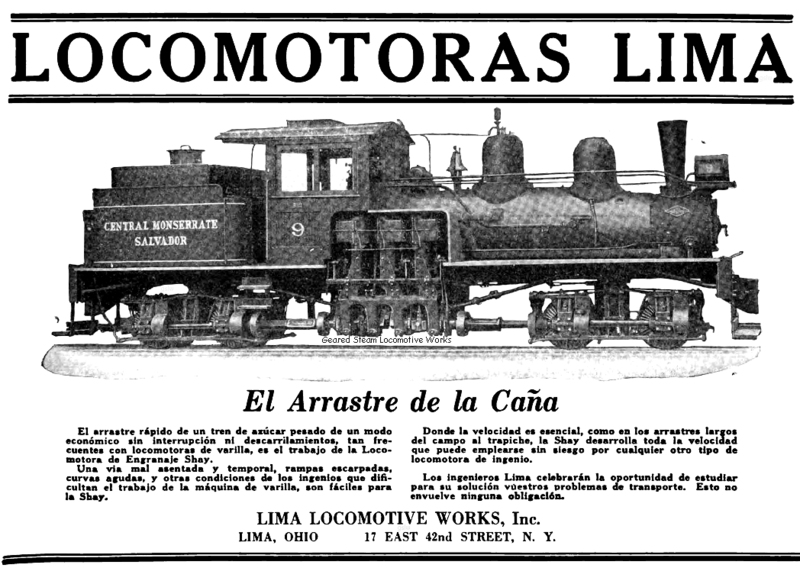 This demonstrator locomotive, named "Columbia", was displayed by the company at the 1893 World's Columbian Exposition in Chicago, Illinois. 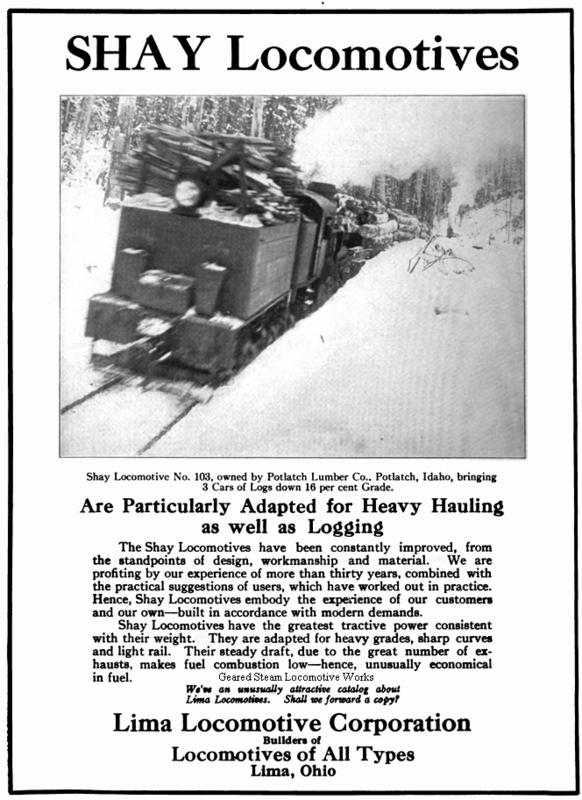 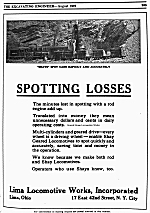 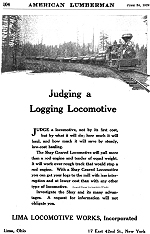 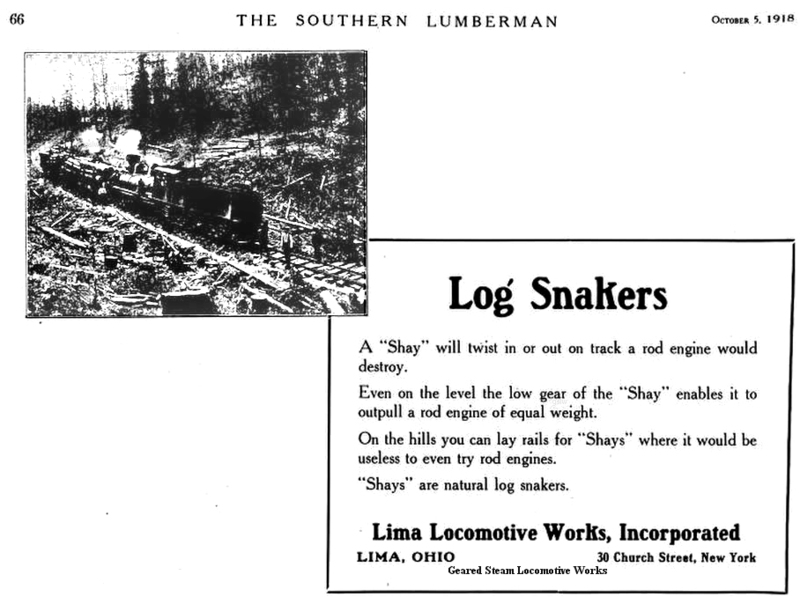 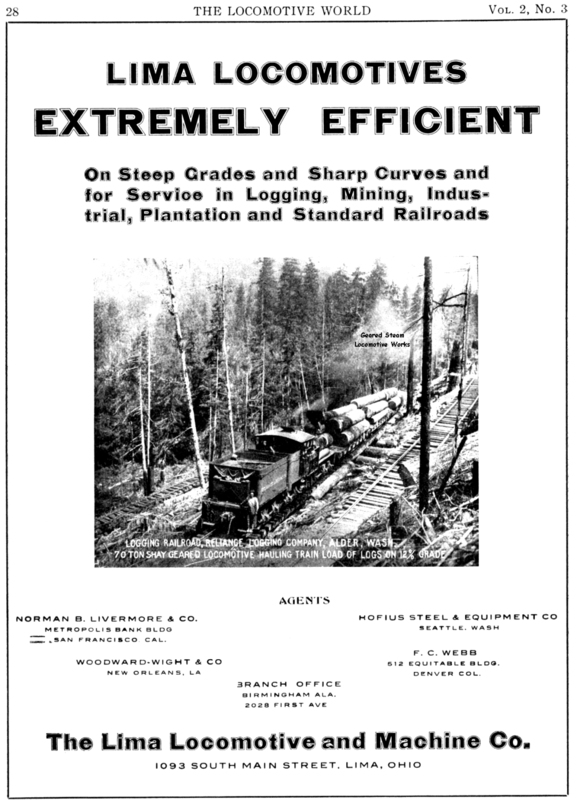 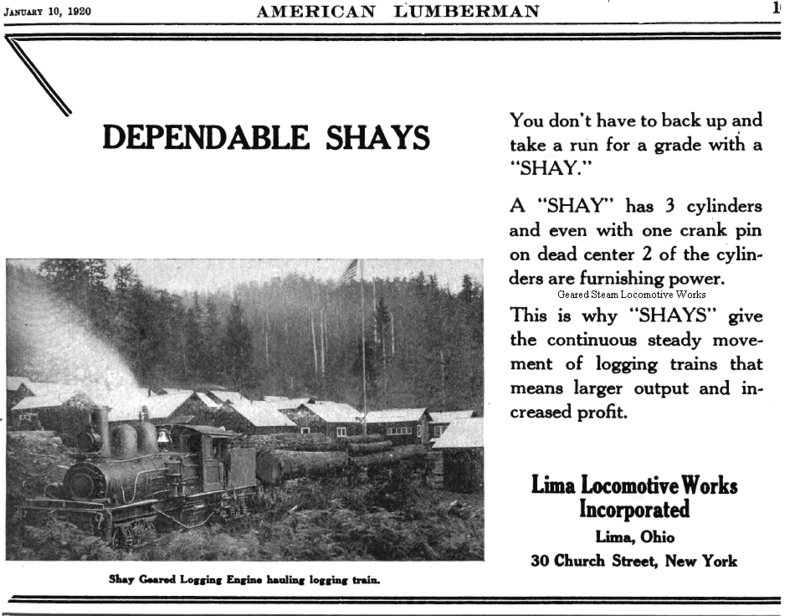 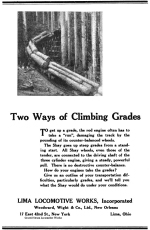 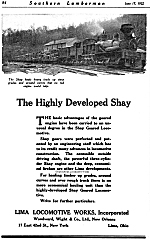 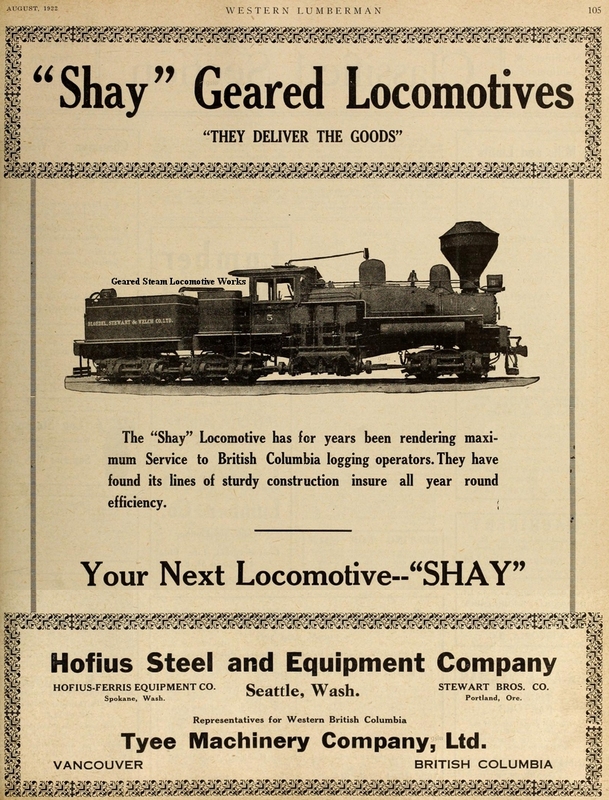 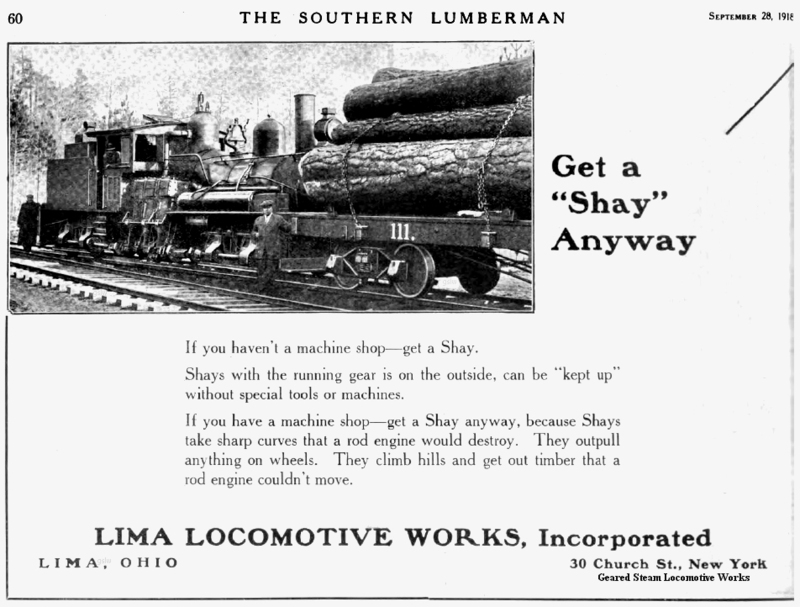 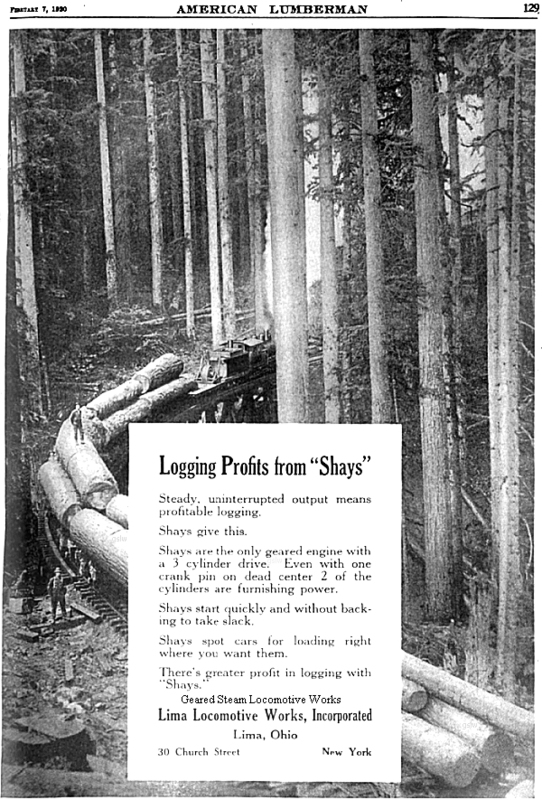 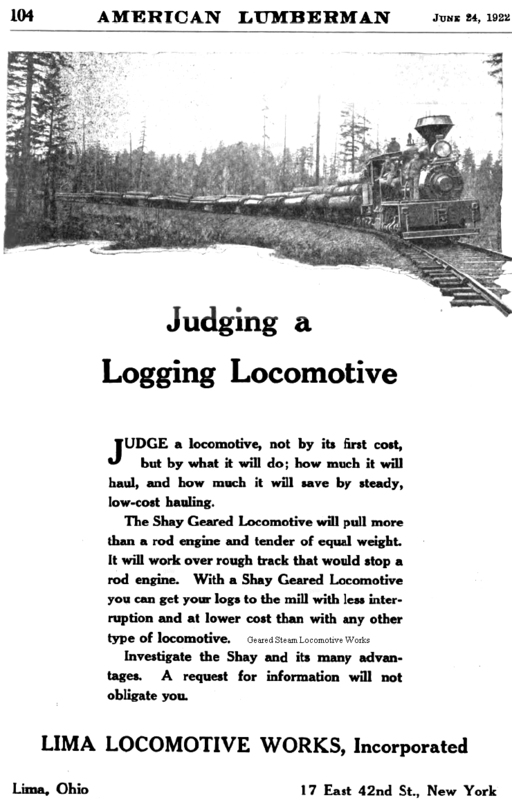 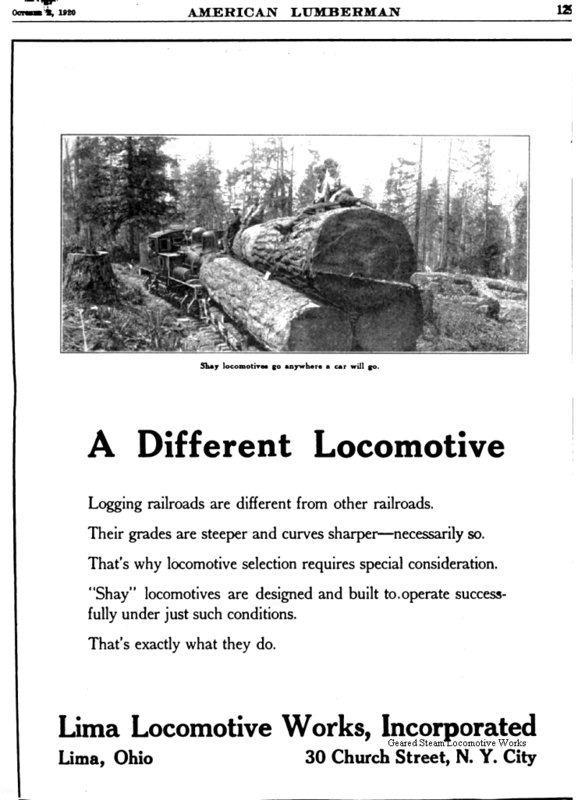 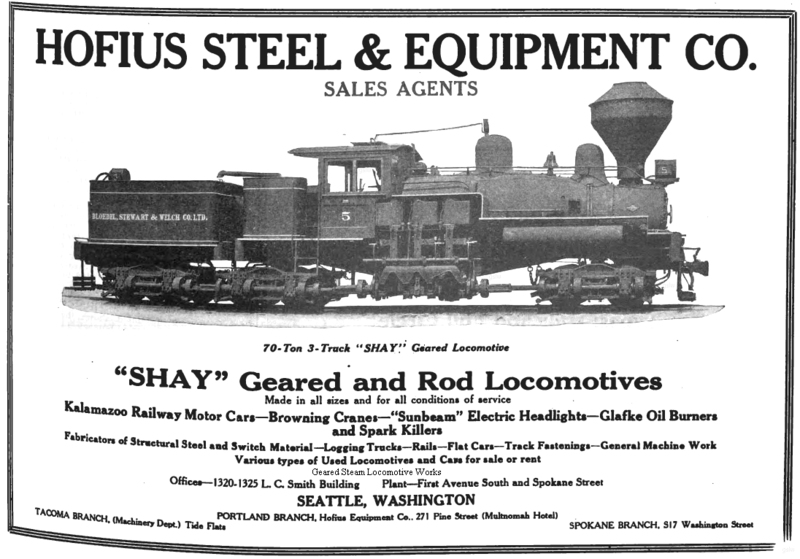 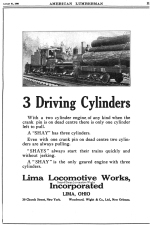 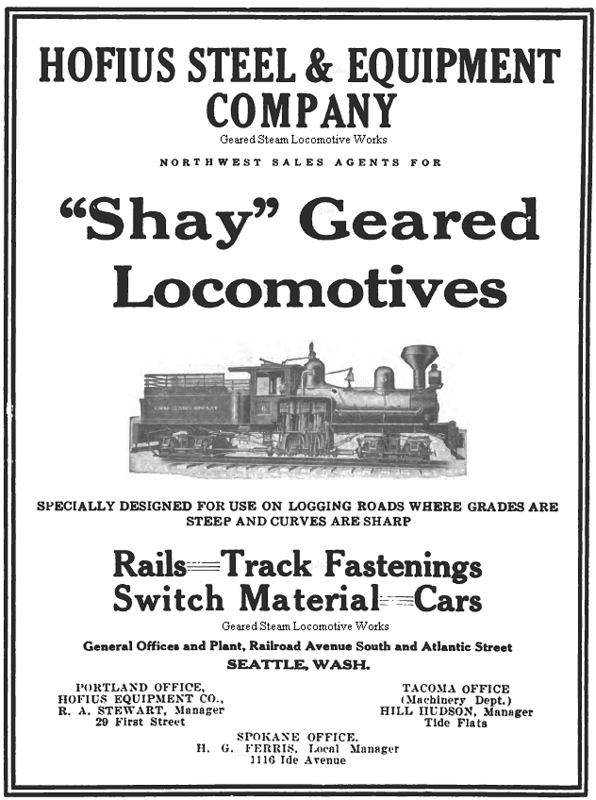 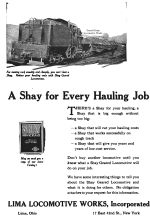 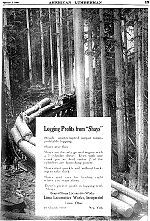 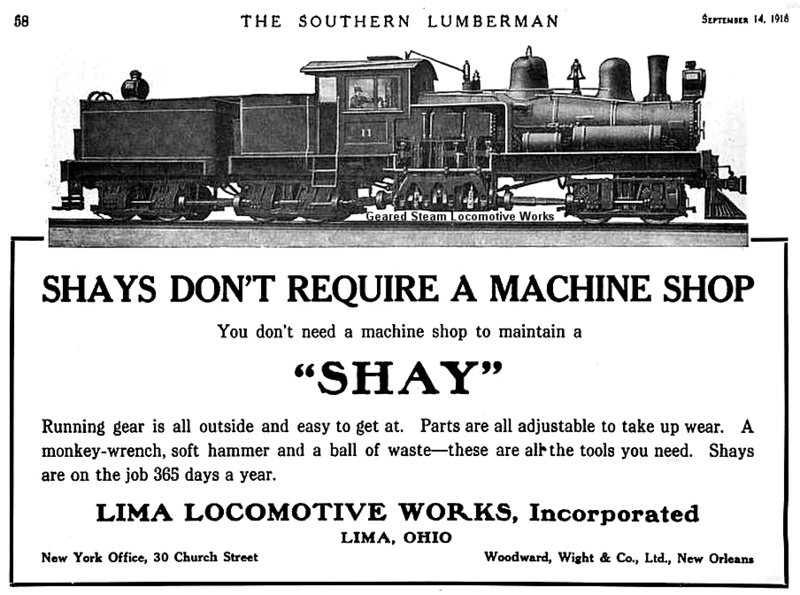 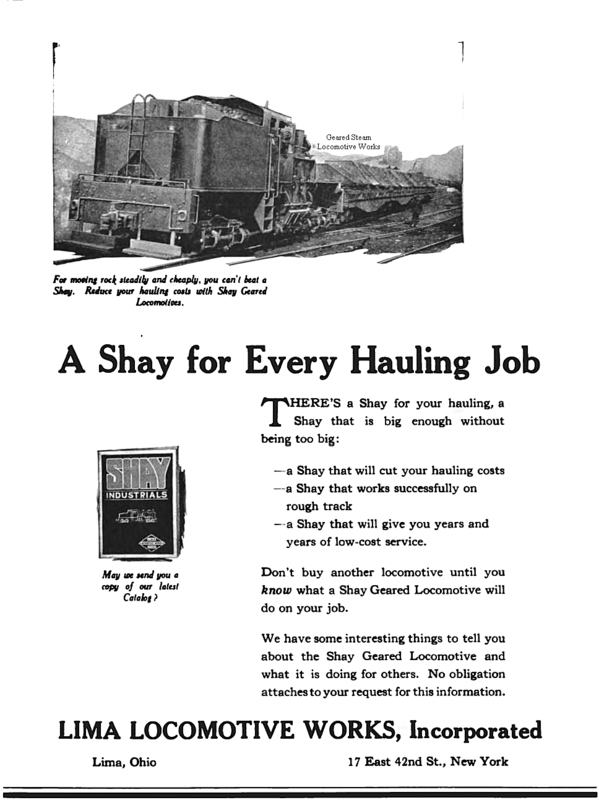 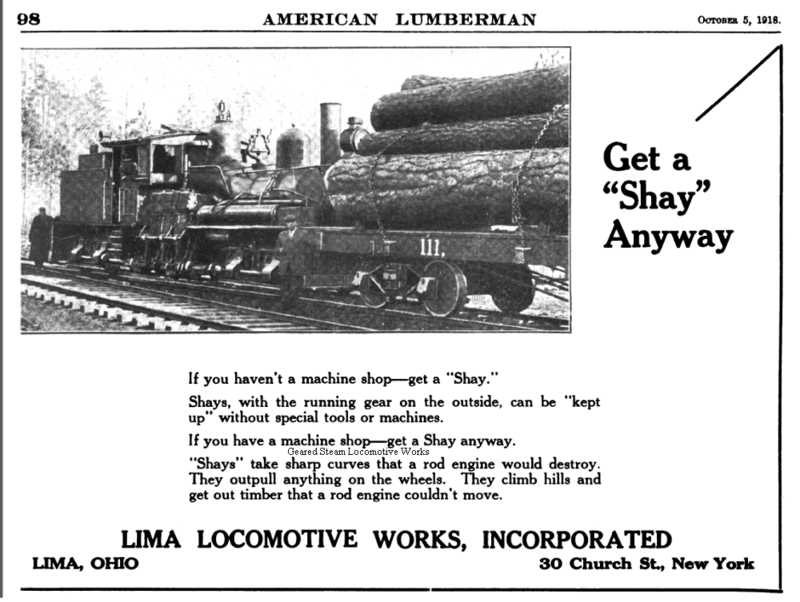 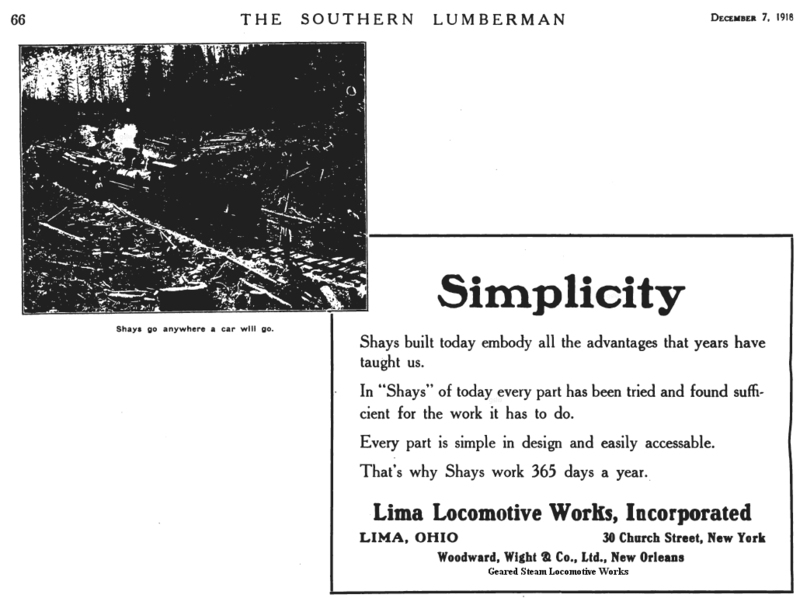 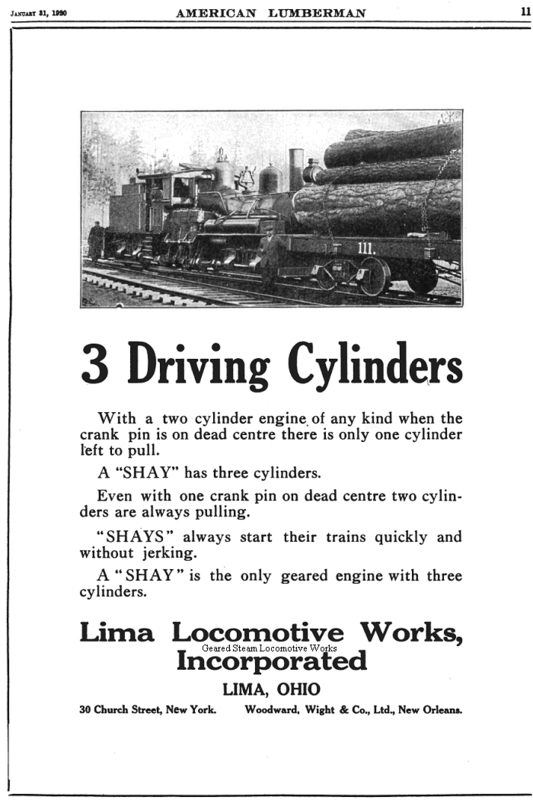 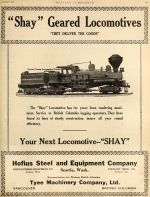 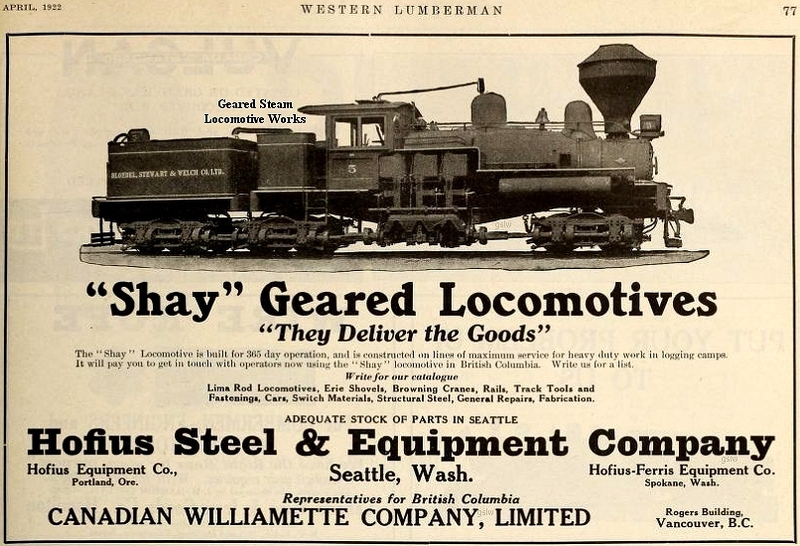 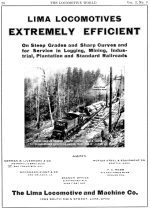 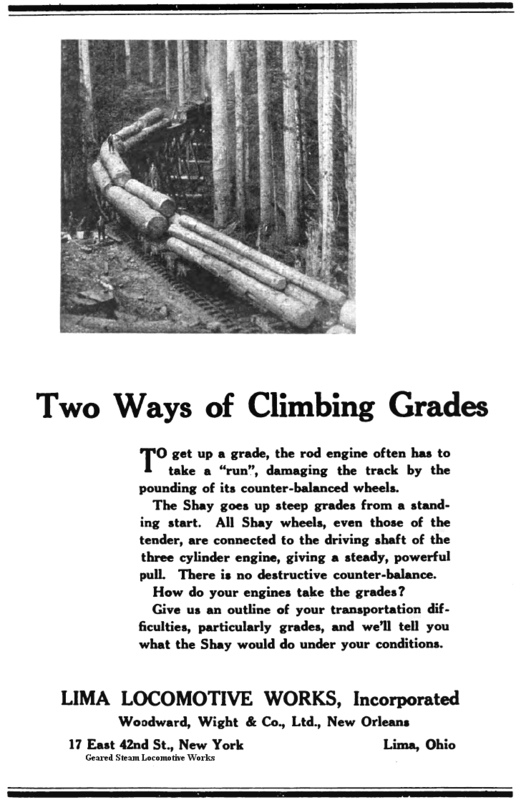 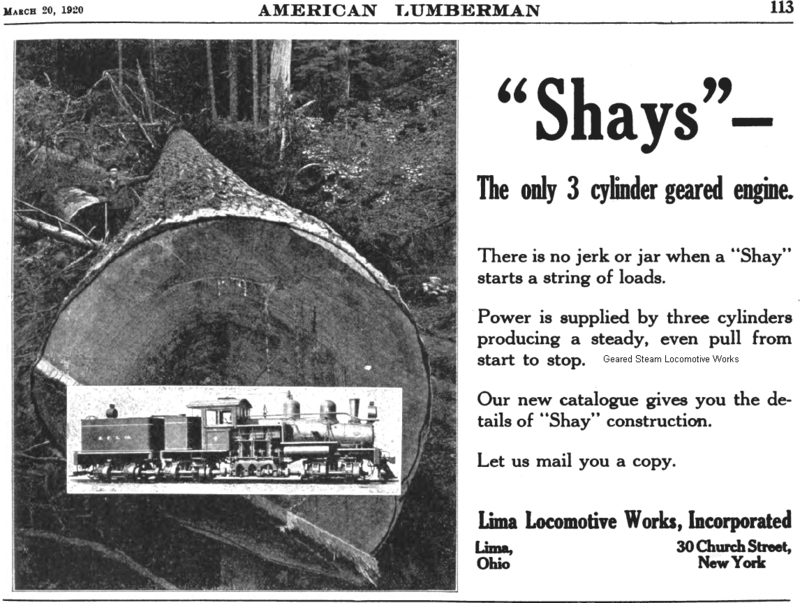 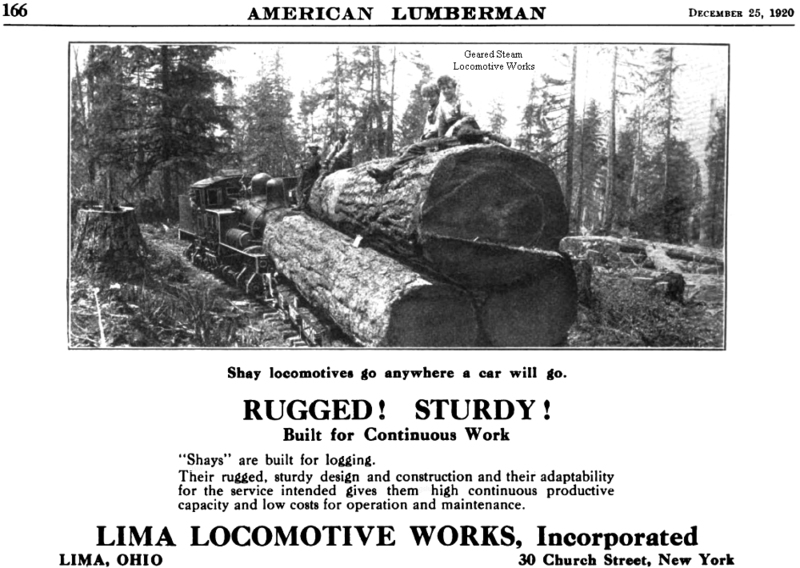 28 The Shay depicted is noted to be in use by the "Reliance Logging Company of Alder, Washington". 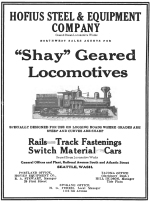 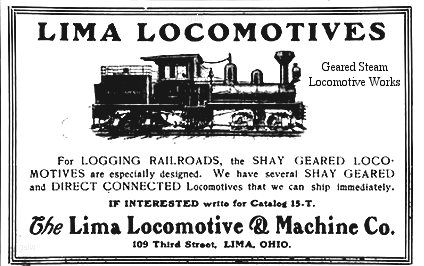 This company does not appear in today's (June, 2015) up to date Lima Shay owner records. 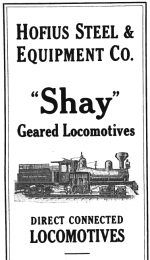 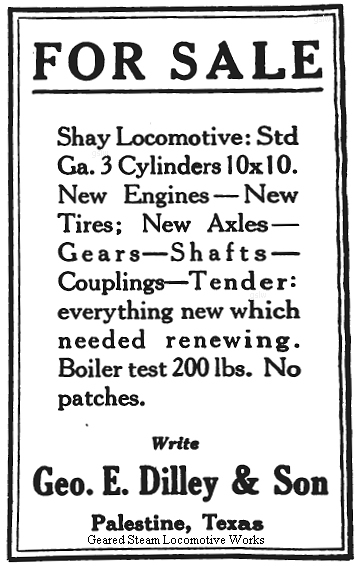 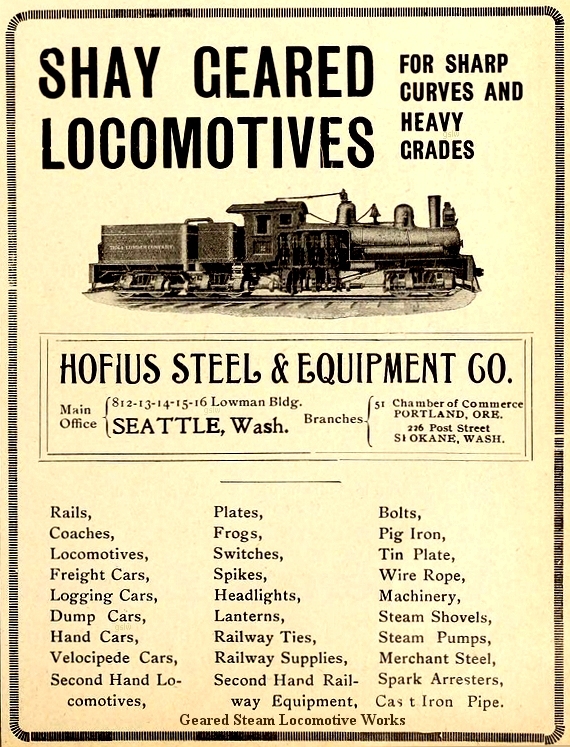 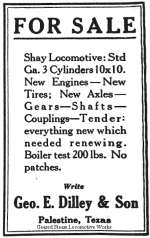 As a result, the locomotive's Shop Number (S/N) is unknown. 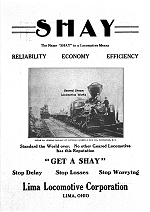 If you have or can direct us to any written documentation about this company or this Shay, please e-mail us here. 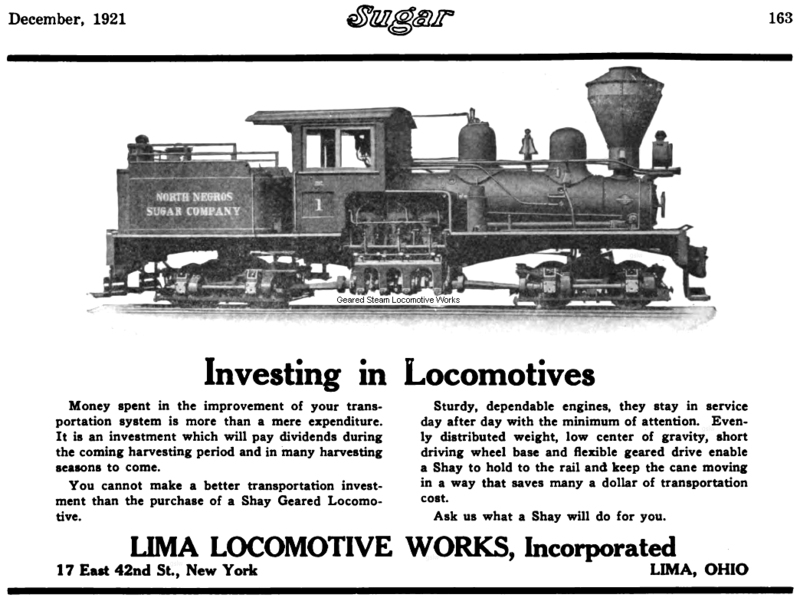 Louisiana Planter and Sugar Manufacturer June 10, 1899 368 The locomotive pictured is the Montana Union Railway #75 - s/n 313. The locomotive pictured is the Chesapeake and Ohio Railway #7 - s/n 785. 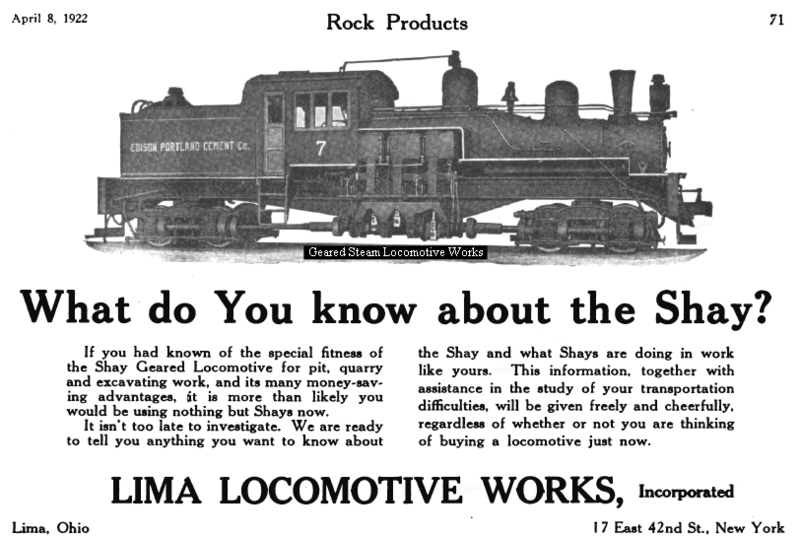 73 The locomotive pictured is the Tomkins Cove Stone Co. #9 - s/n 2528. 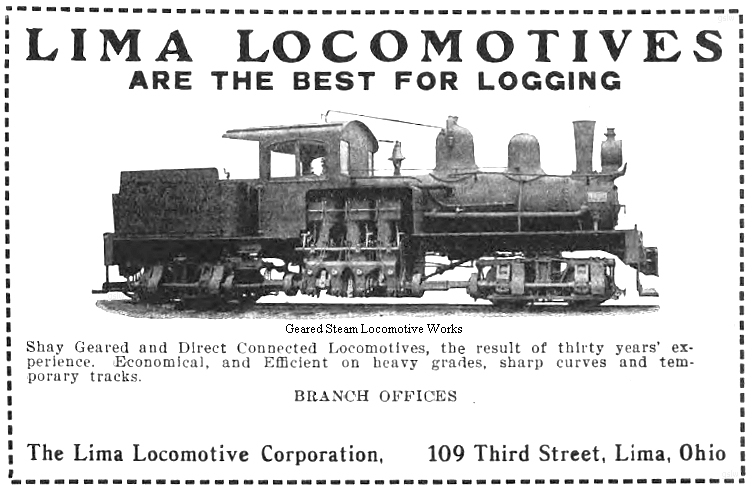 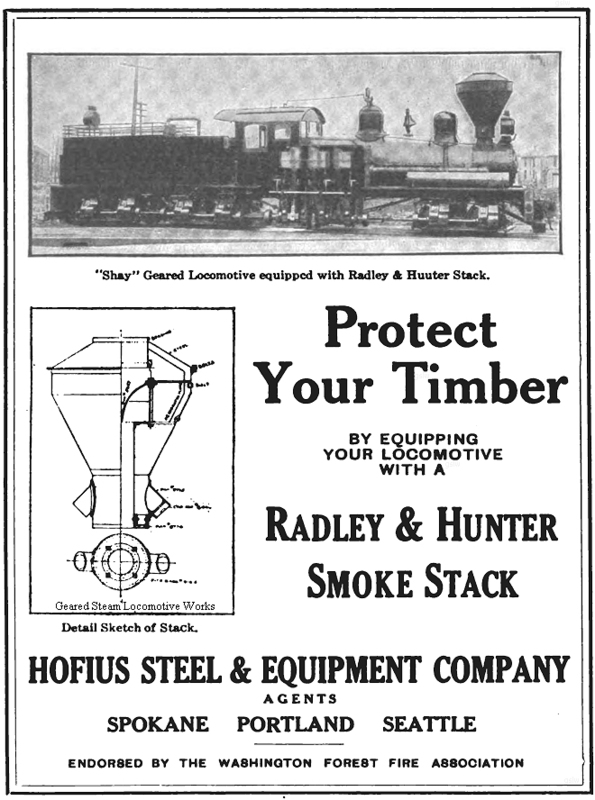 The locomotive pictured is the Northwestern Redwood Co. #1 - s/n 909. 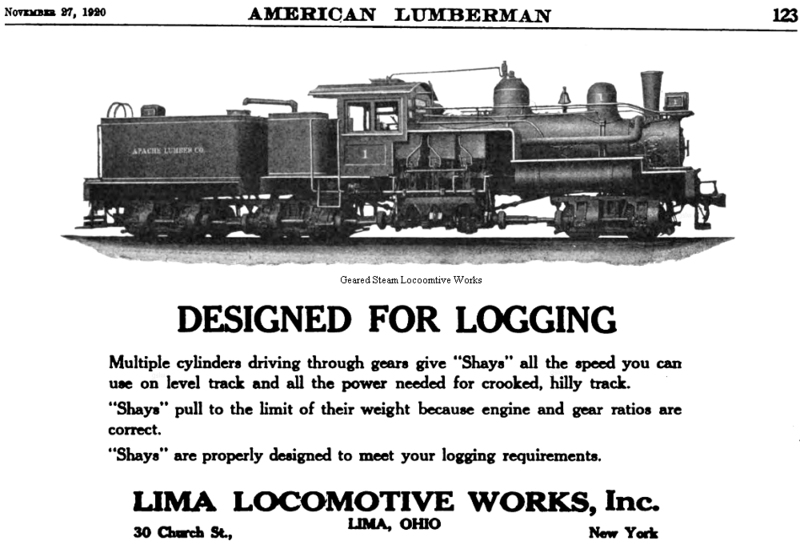 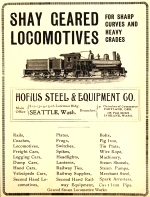 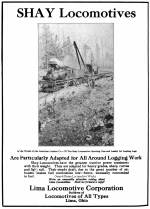 121 The locomotive pictured is the Salmon Creek Lumber Co. #7 - s/n 1890. 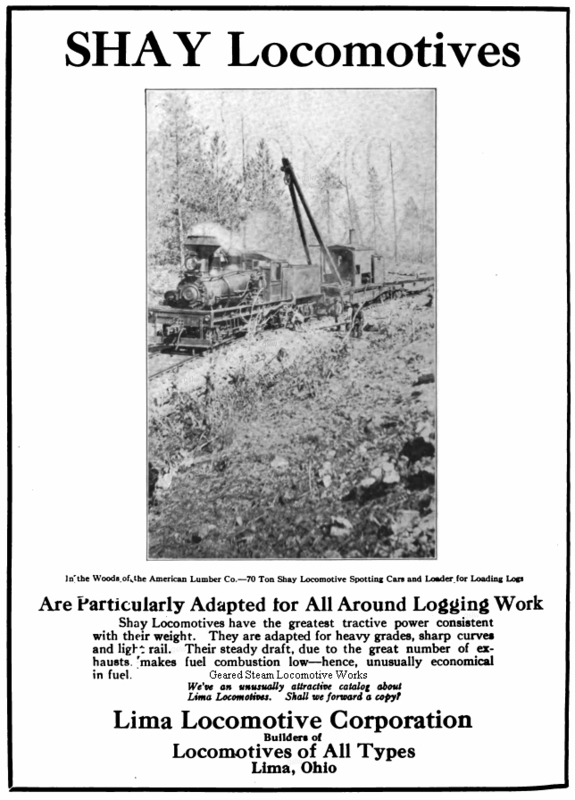 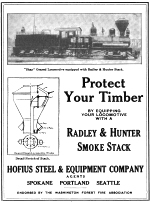 The locomotive pictured is the Yosemite Lumber Co. #3 - s/n 2803. 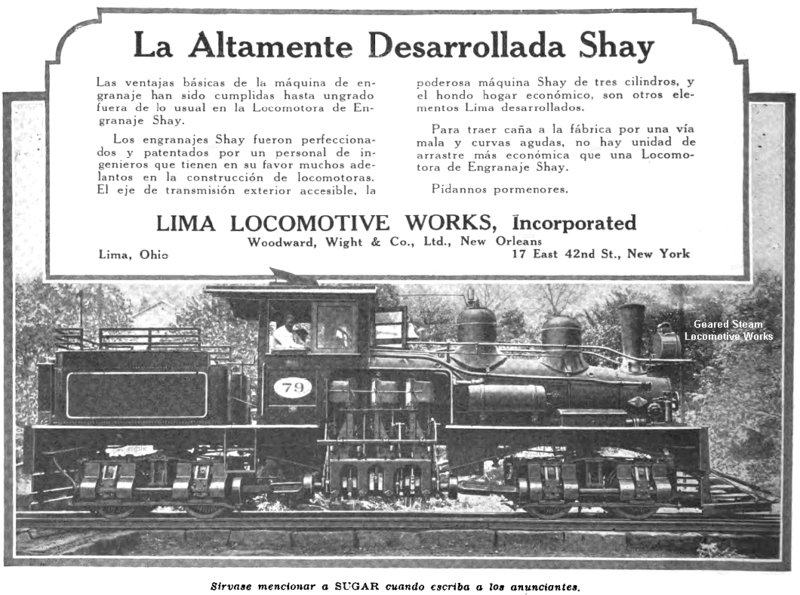 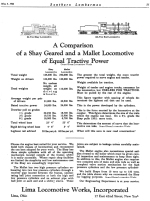 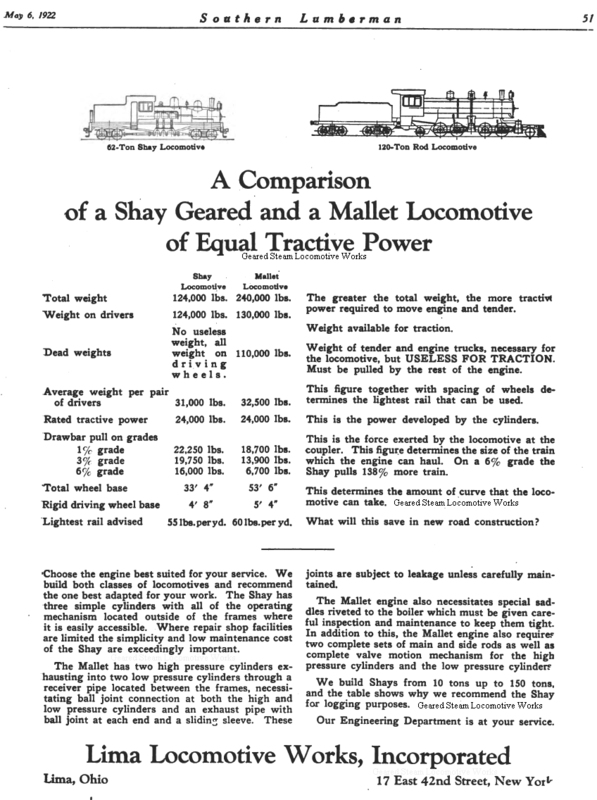 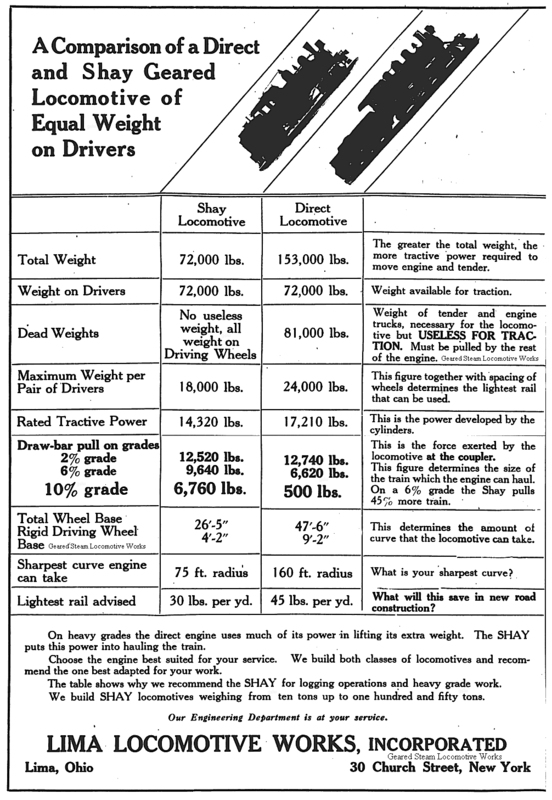 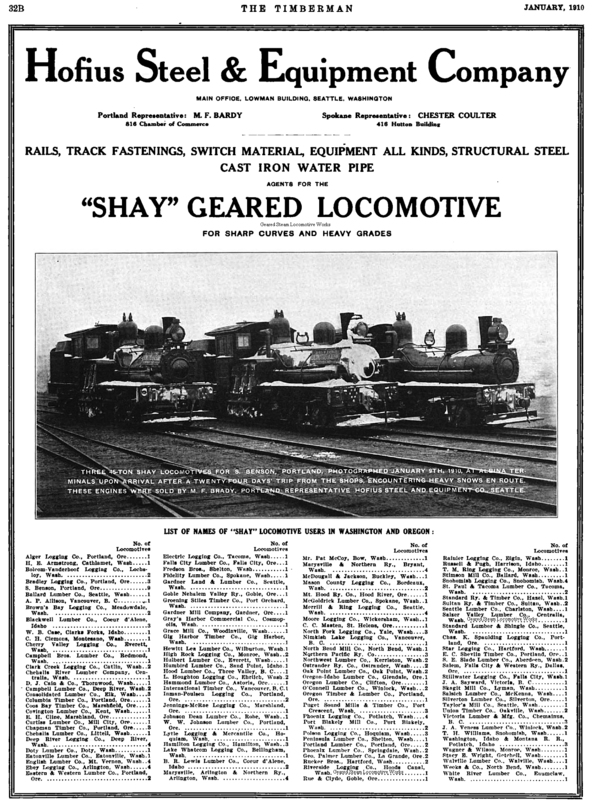 "A Comparison of a Shay Geared and Mallet Locomotive of Equal Tractive Power"
302 The Shay pictured belonged to Leopoldina Railway. 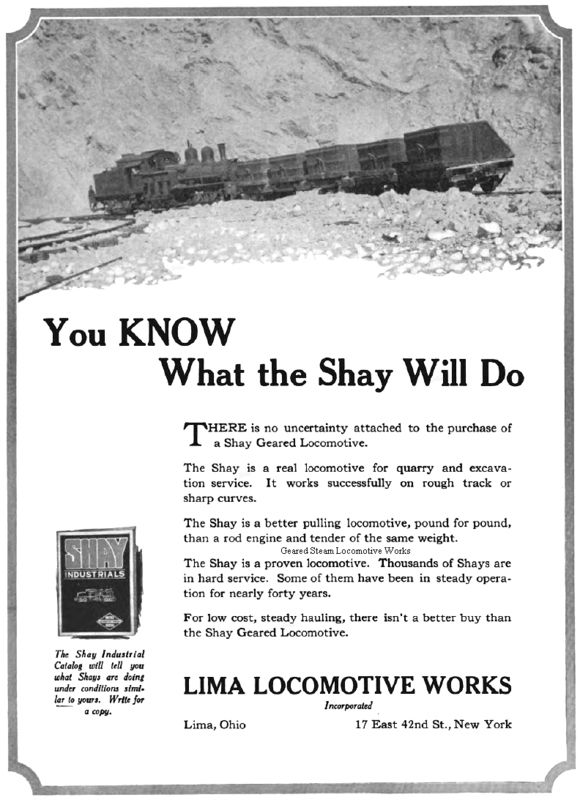 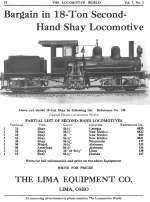 533 The Shay pictured belonged to Leopoldina Railway.